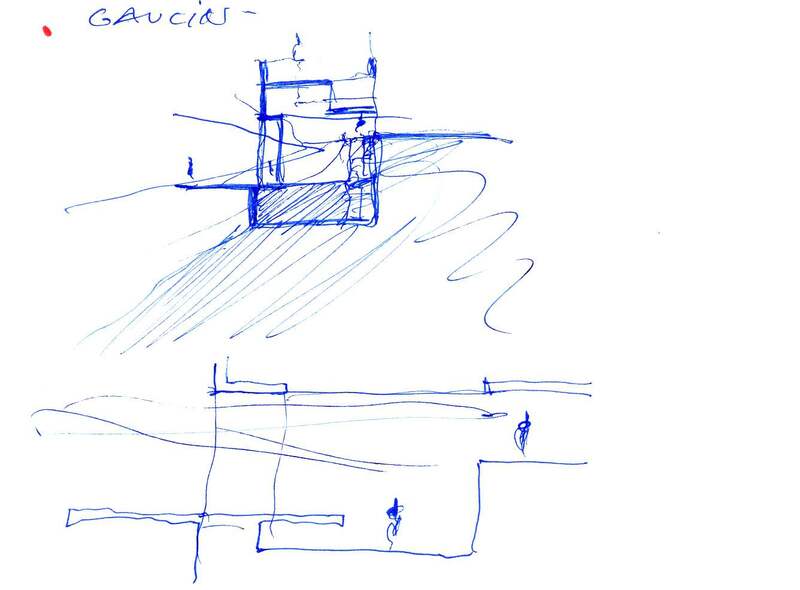 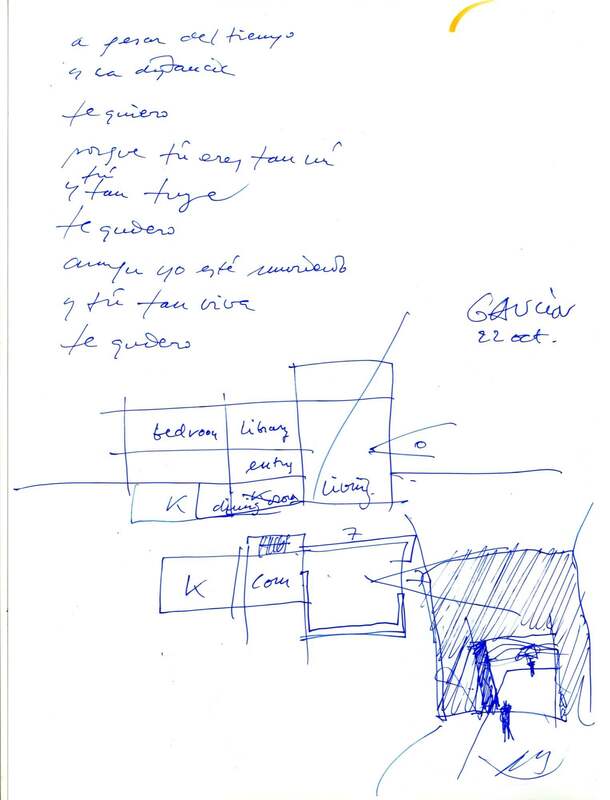 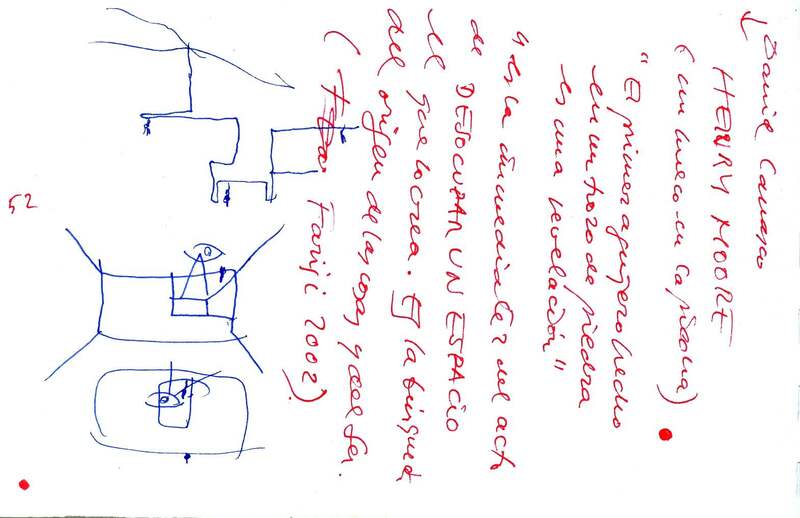 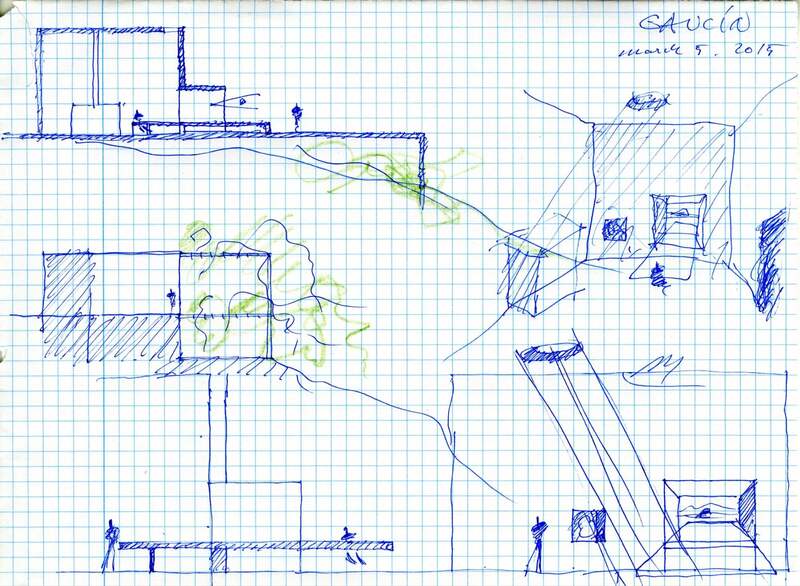 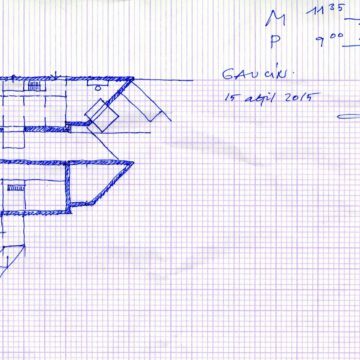 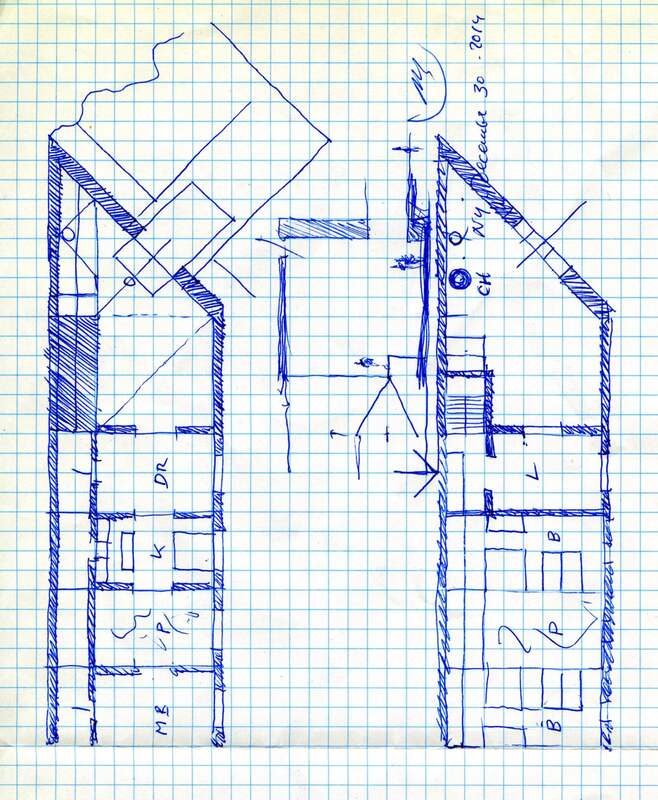 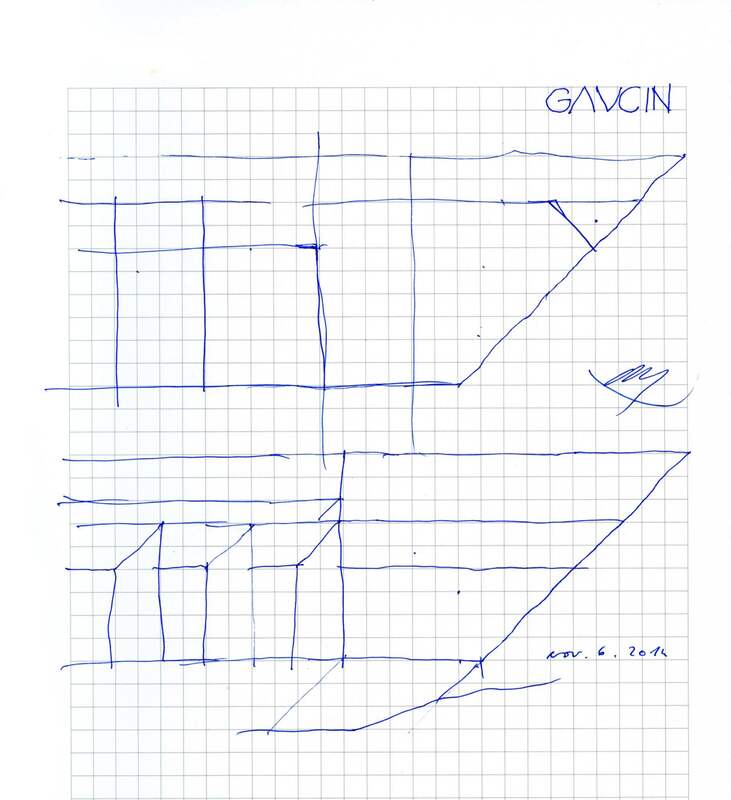 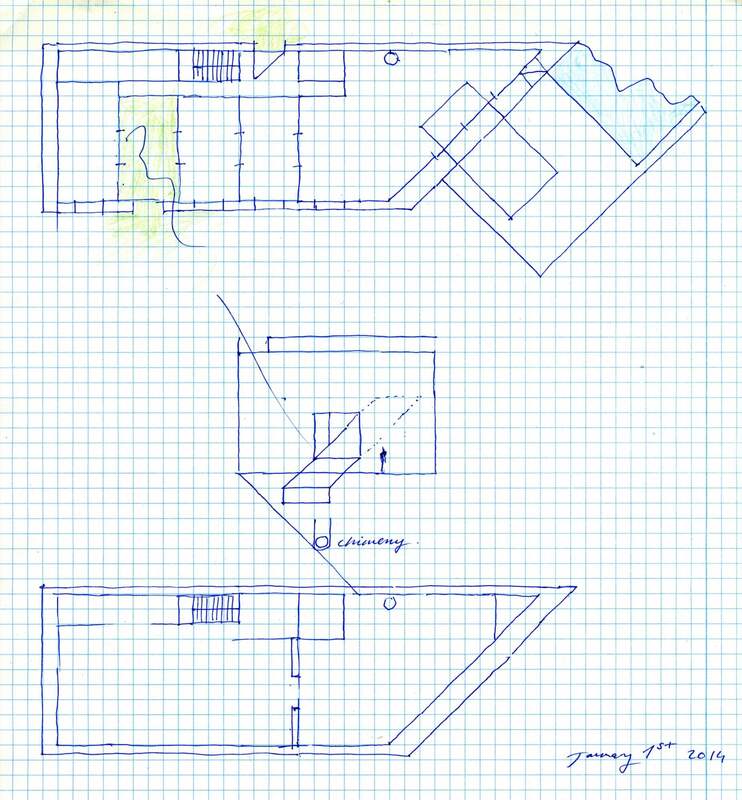 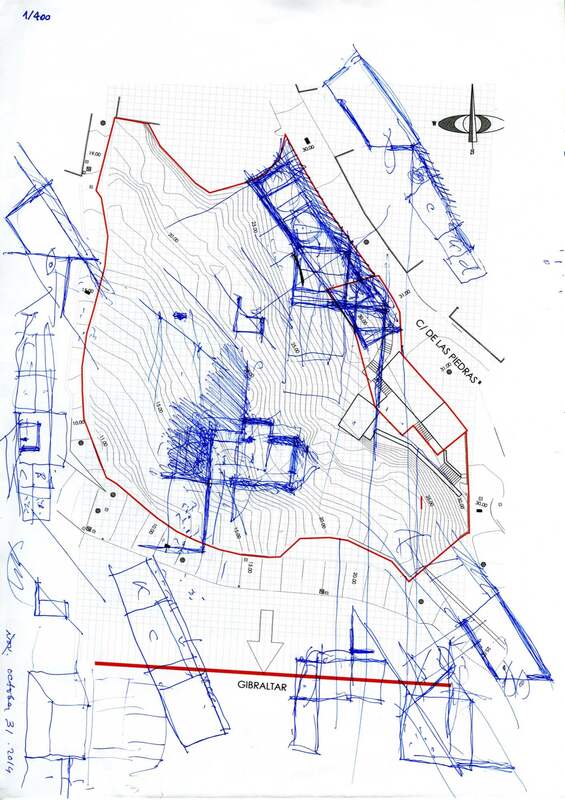 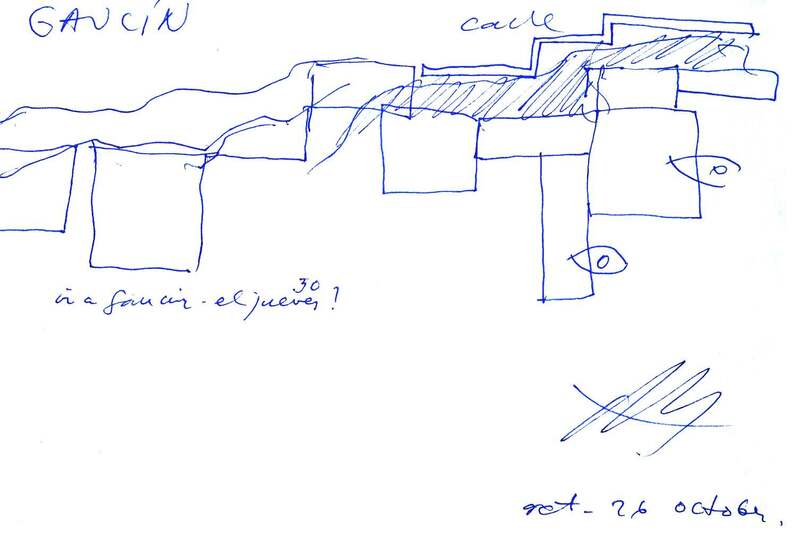 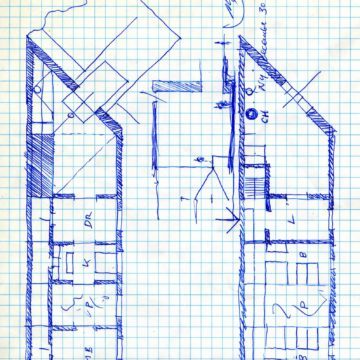 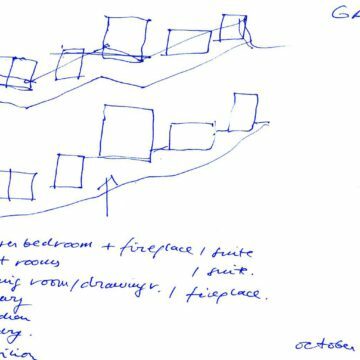 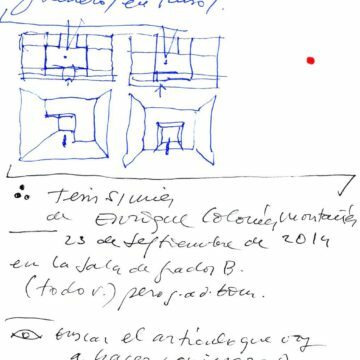 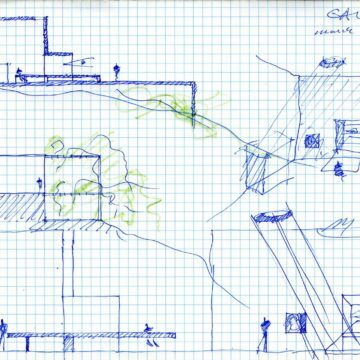 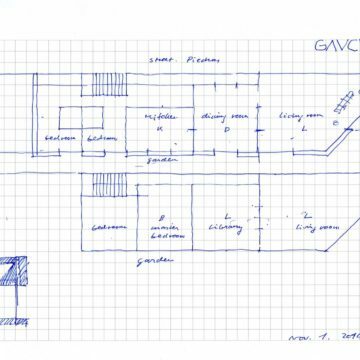 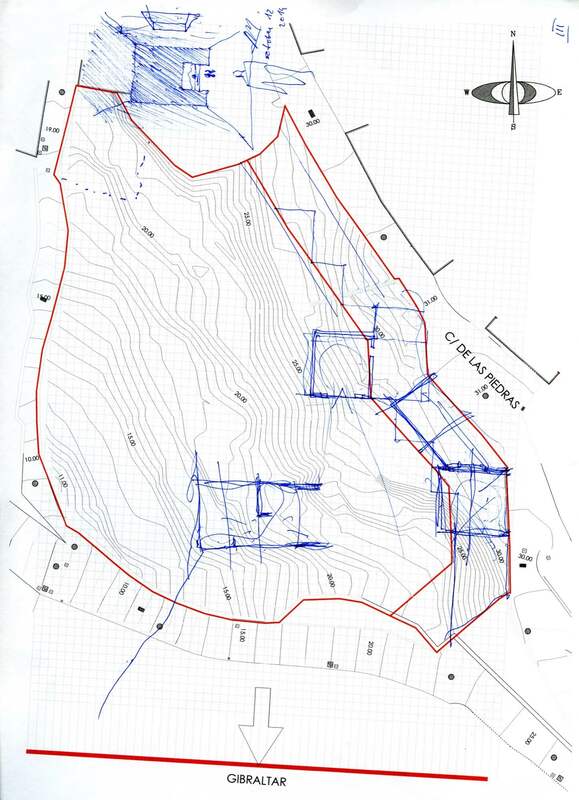 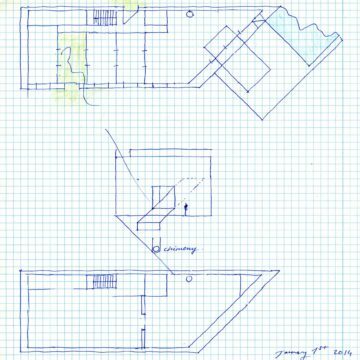 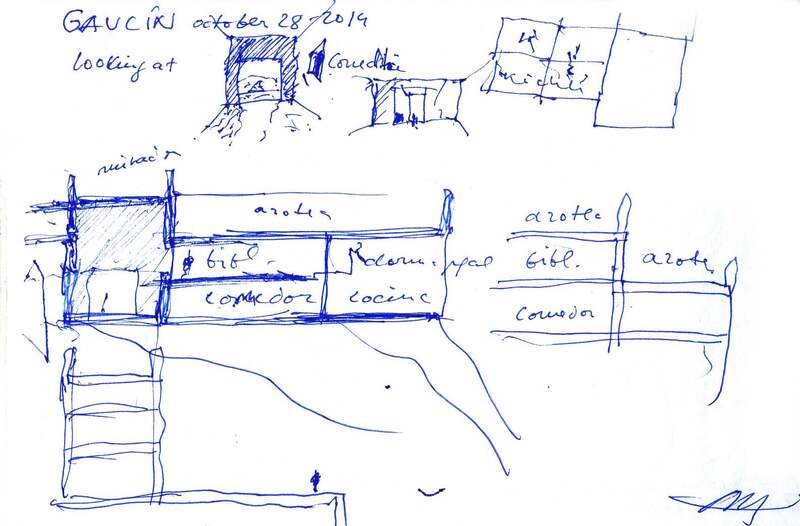 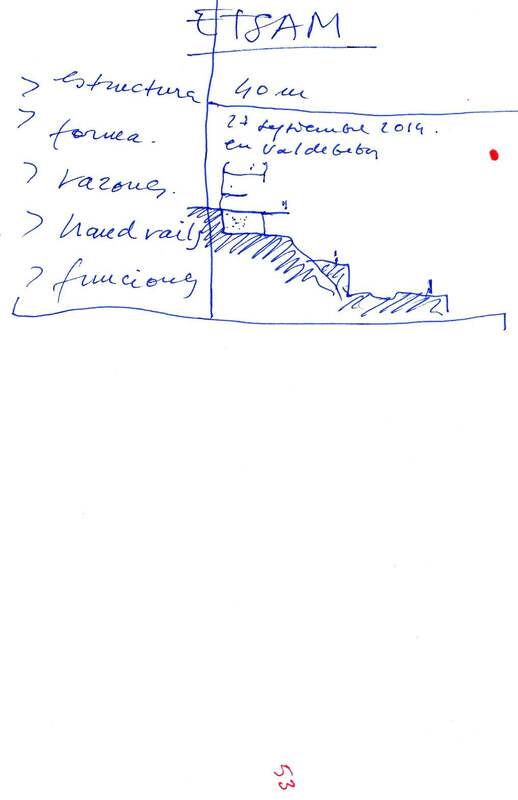 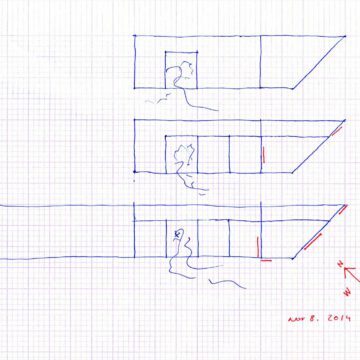 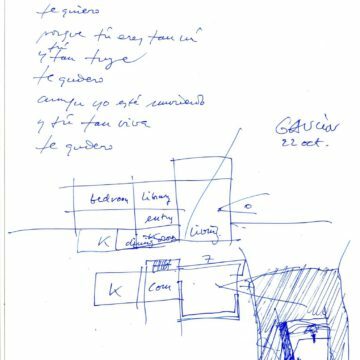 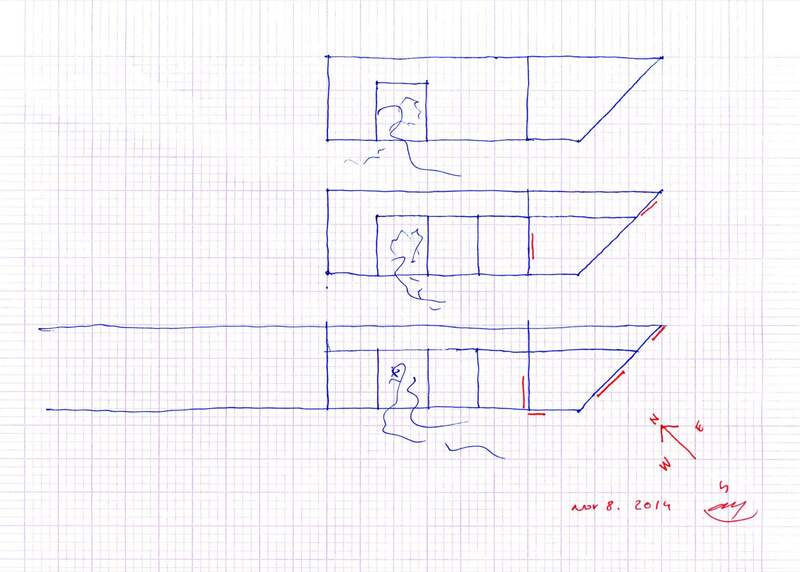 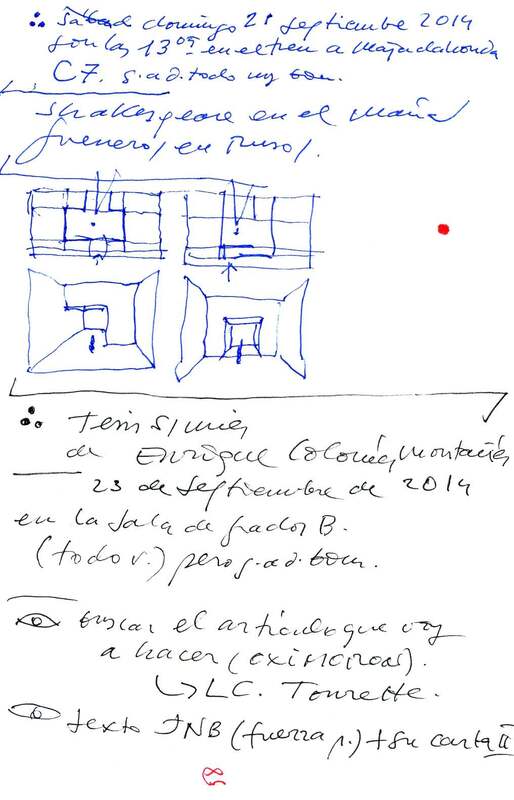 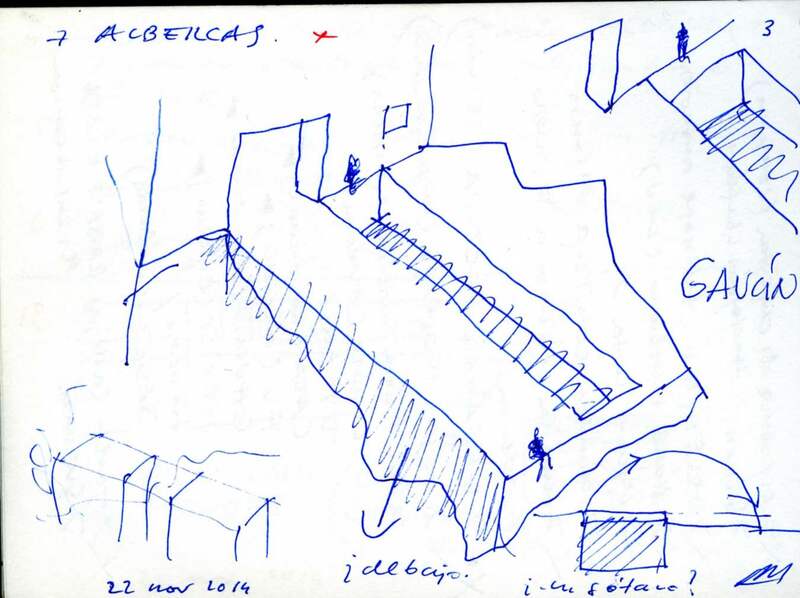 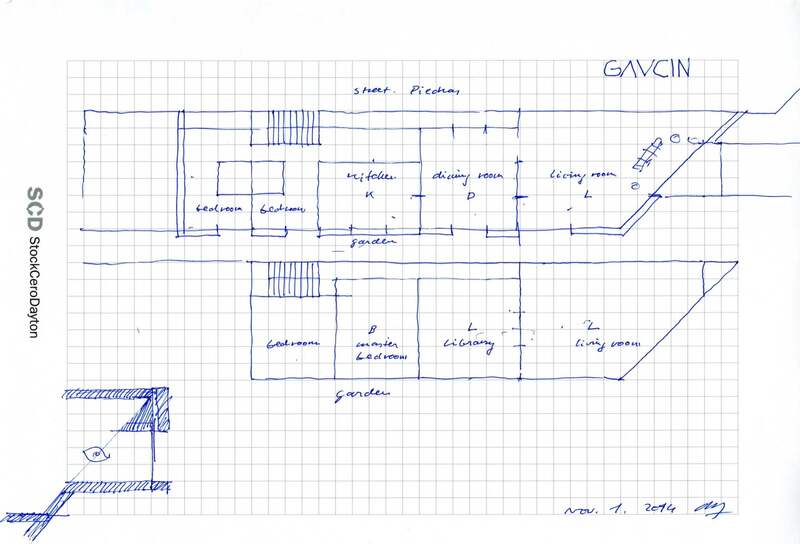 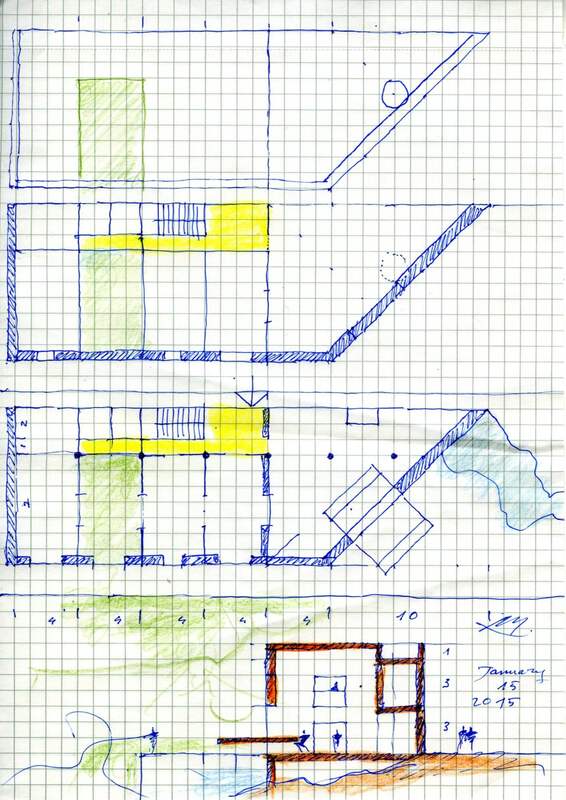 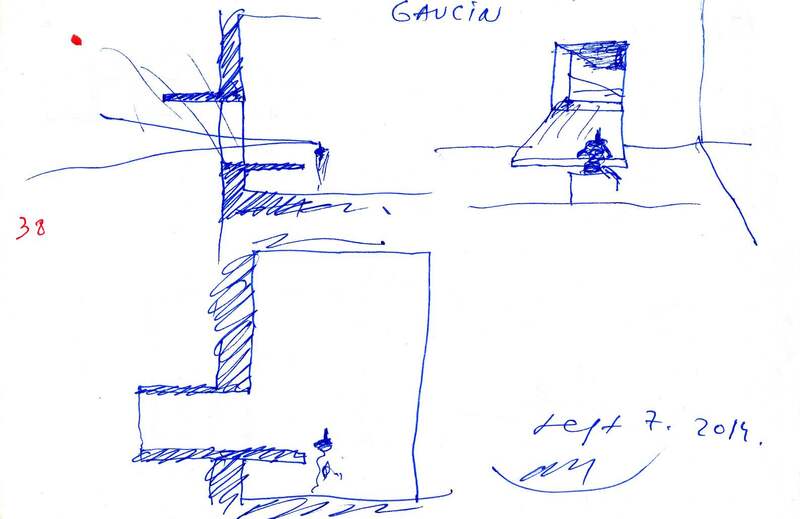 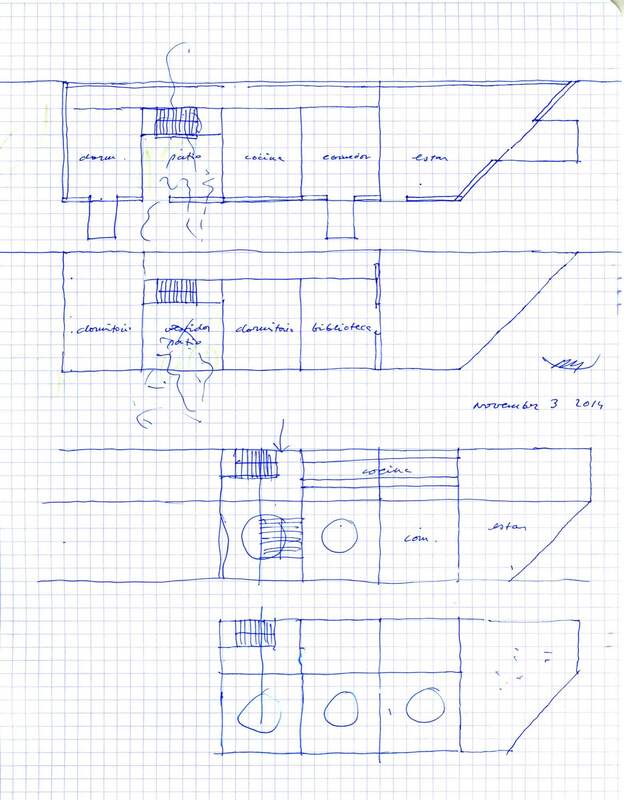 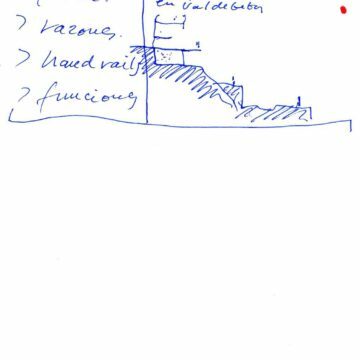 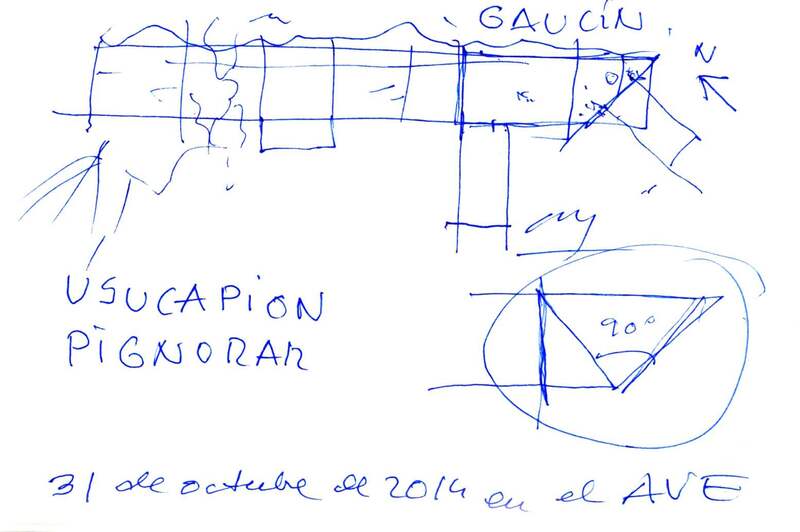 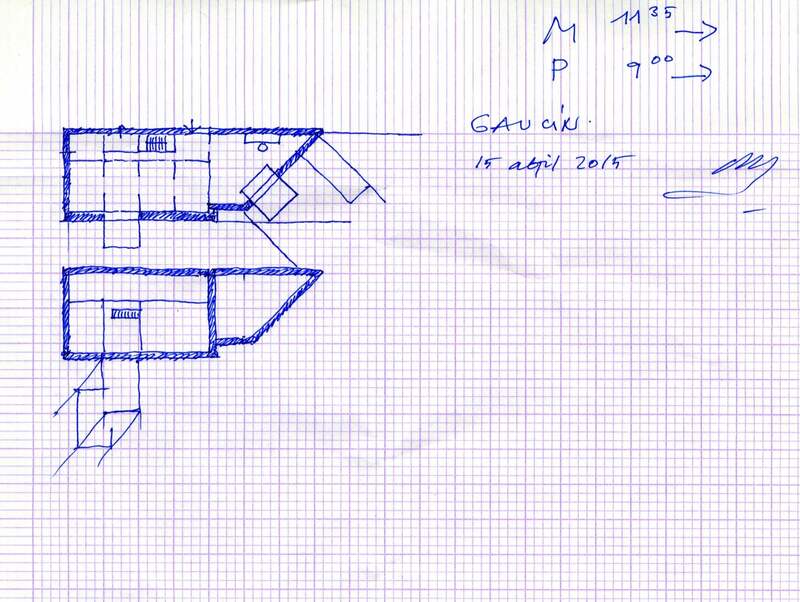 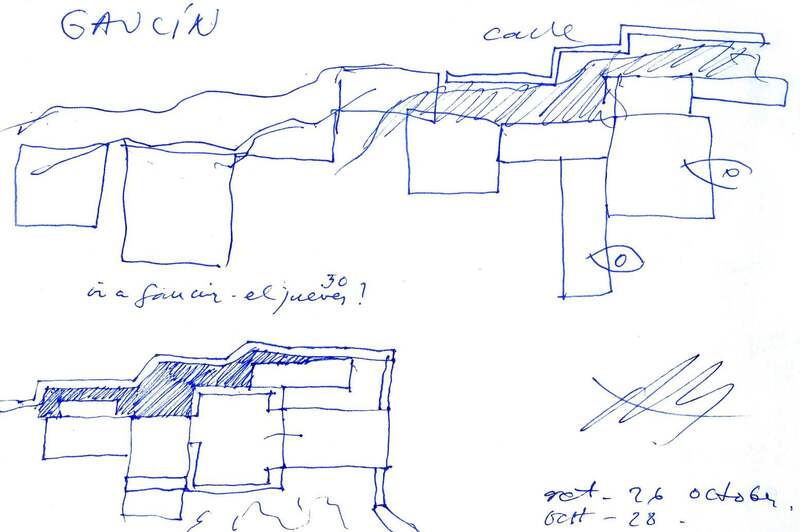 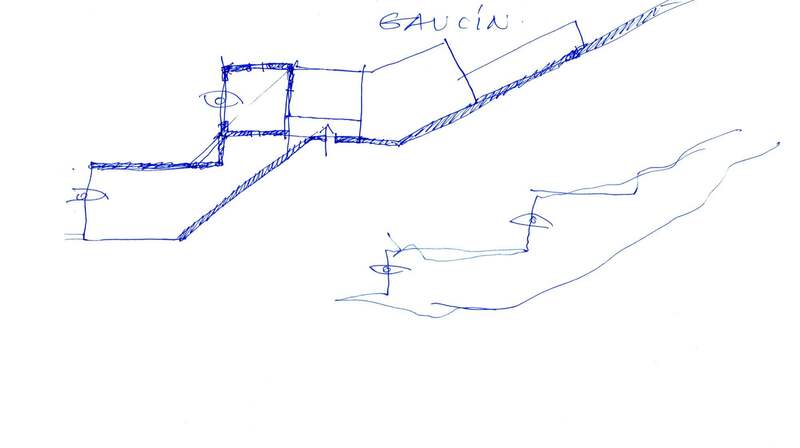 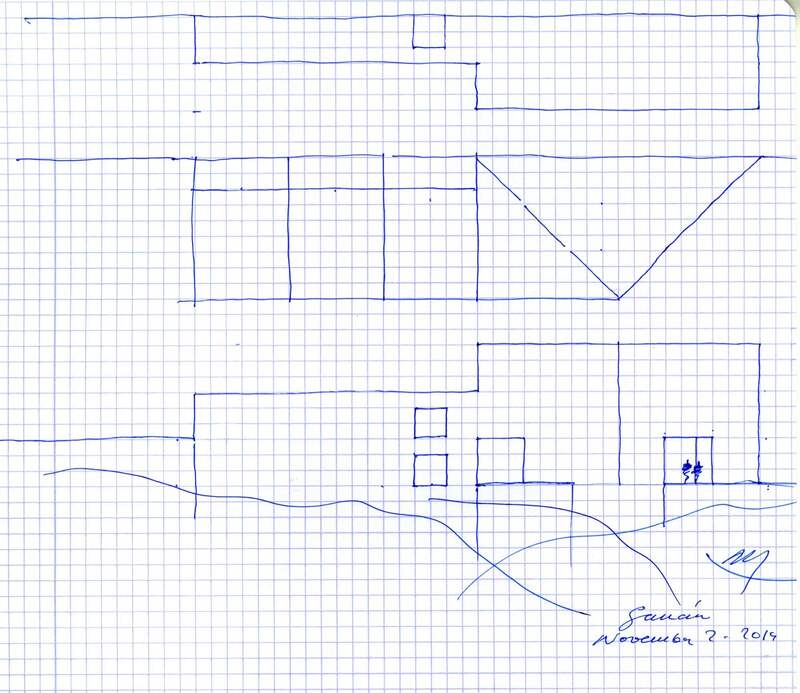 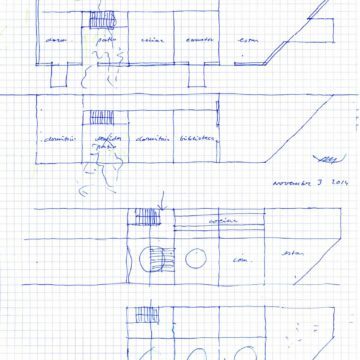 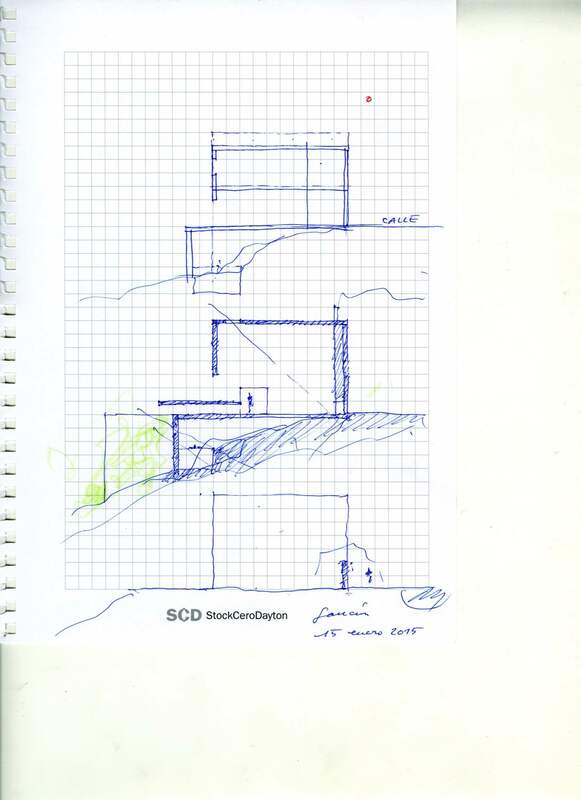 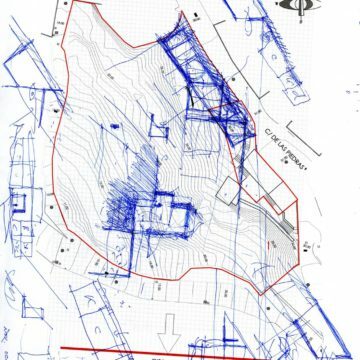 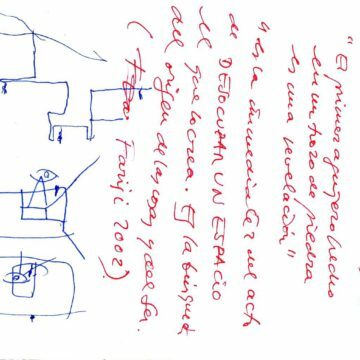 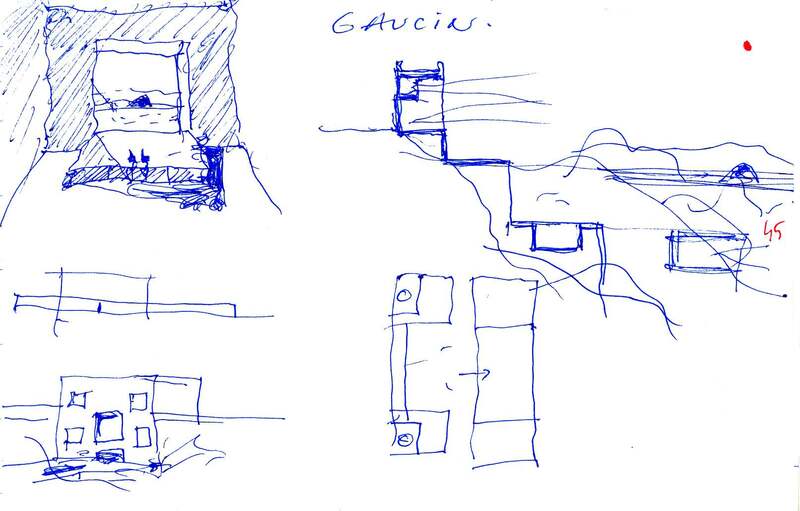 Maybe, surely, the house in Gaucín must be one of the most studied projects of my entire career as an architect. 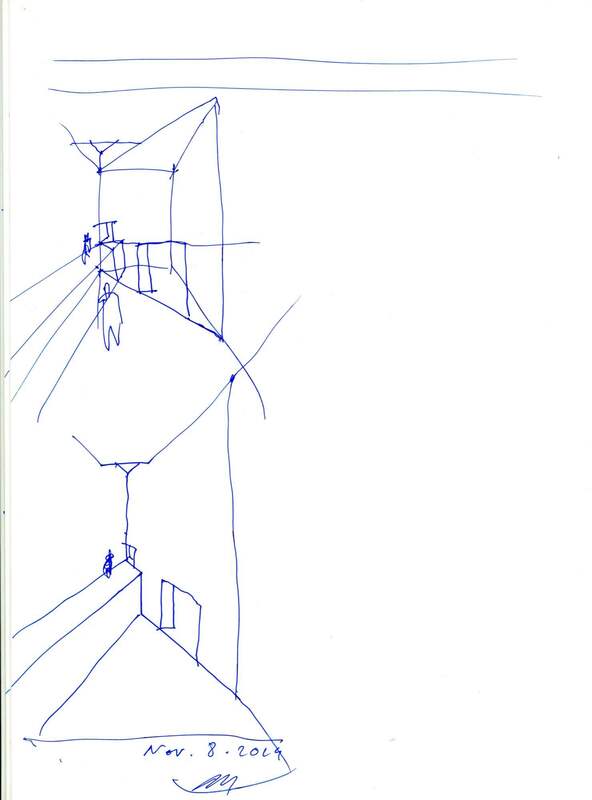 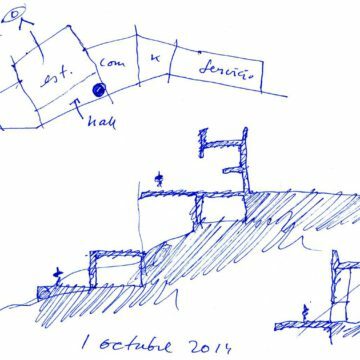 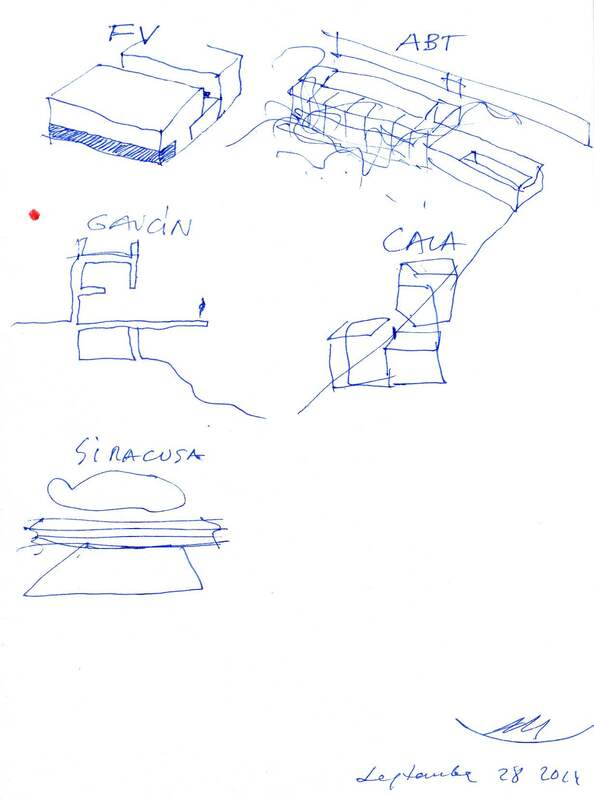 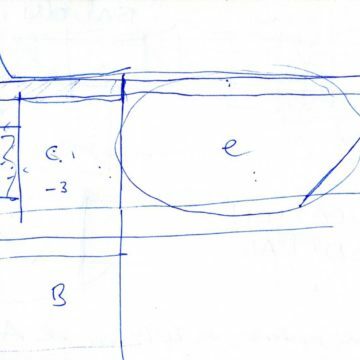 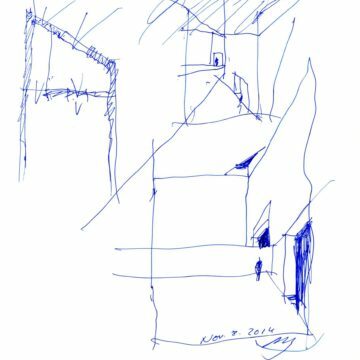 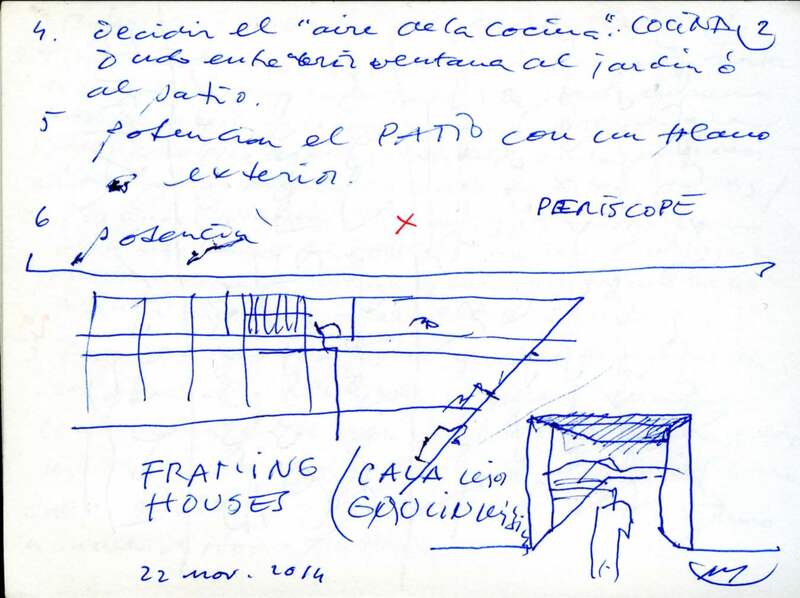 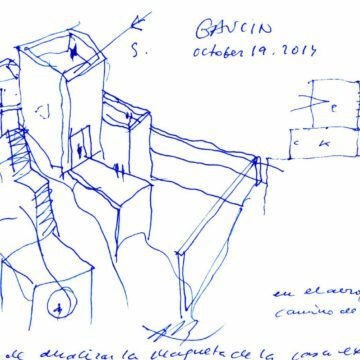 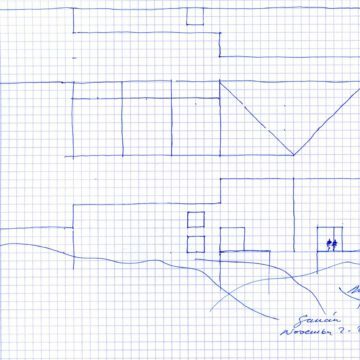 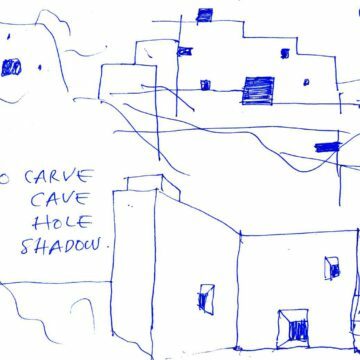 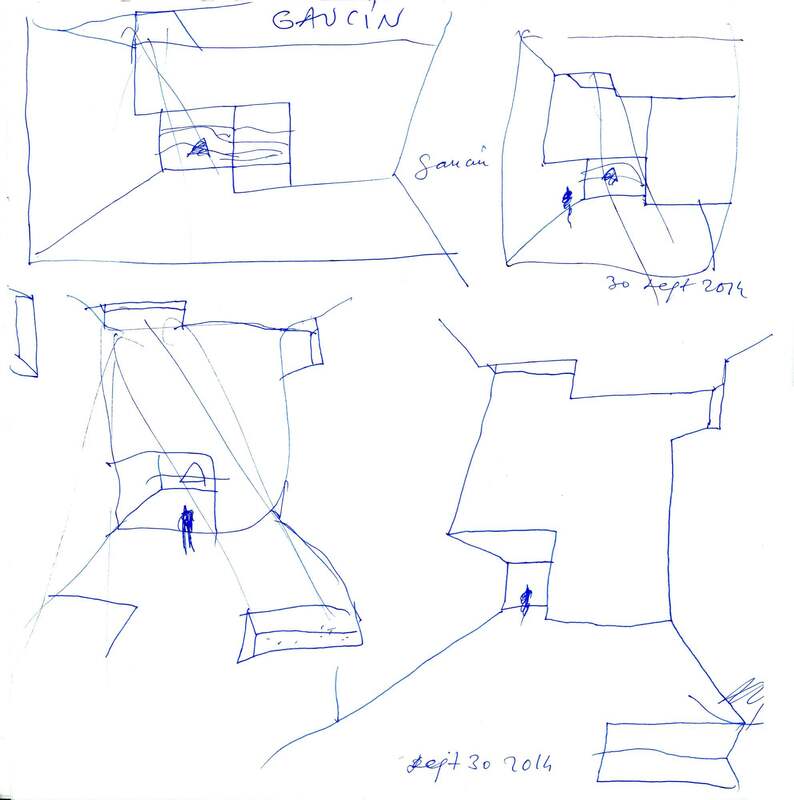 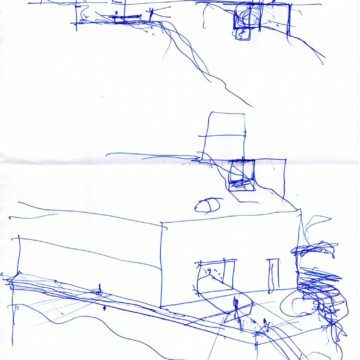 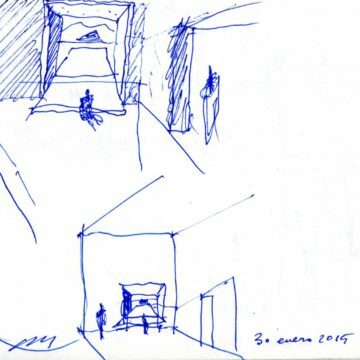 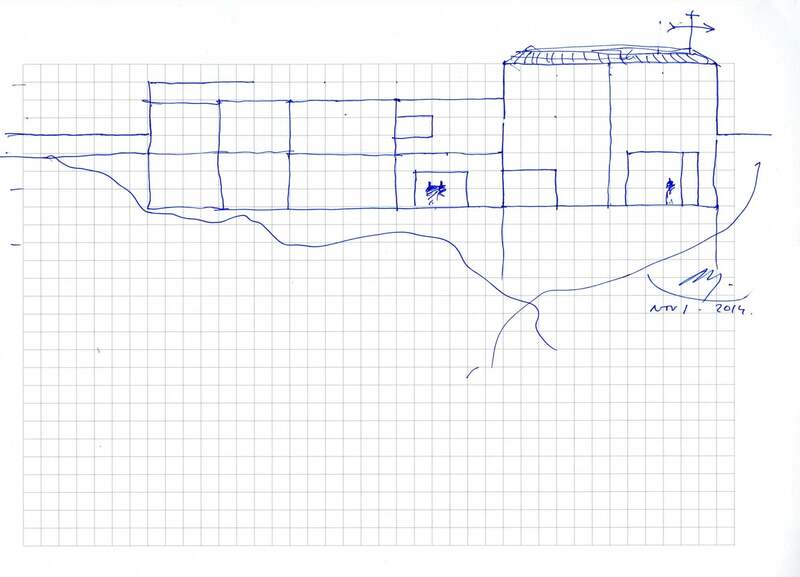 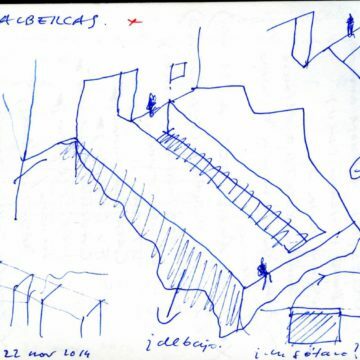 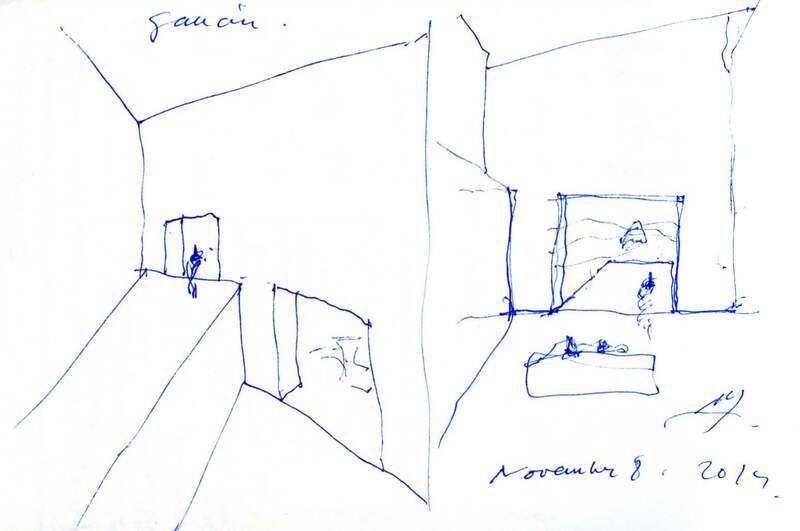 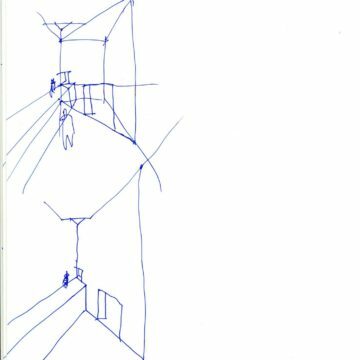 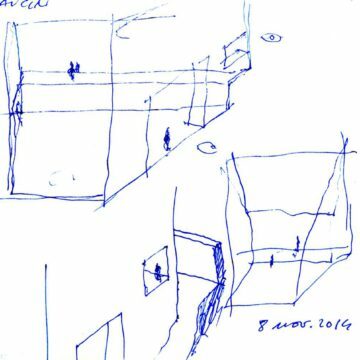 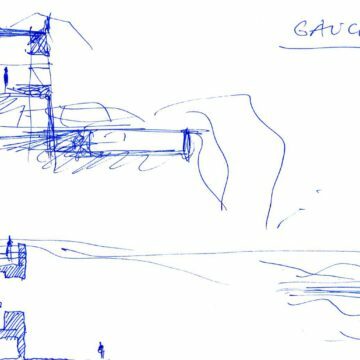 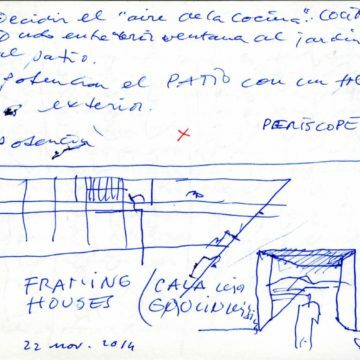 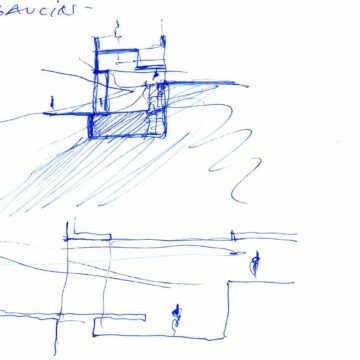 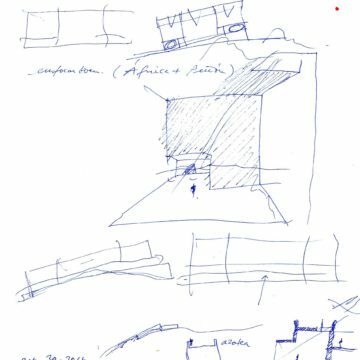 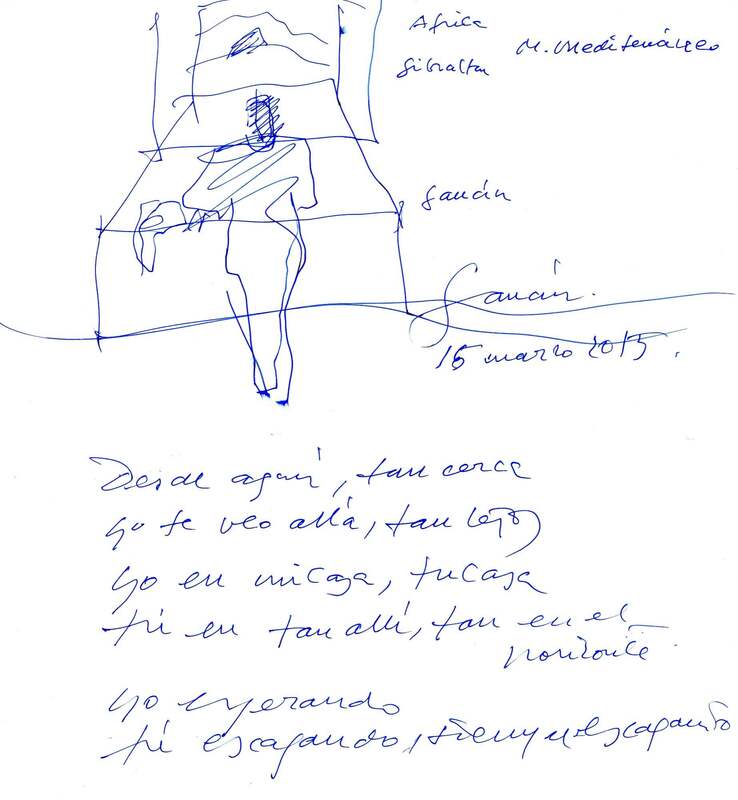 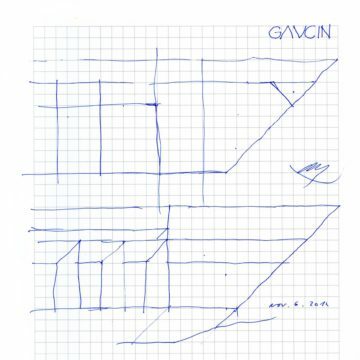 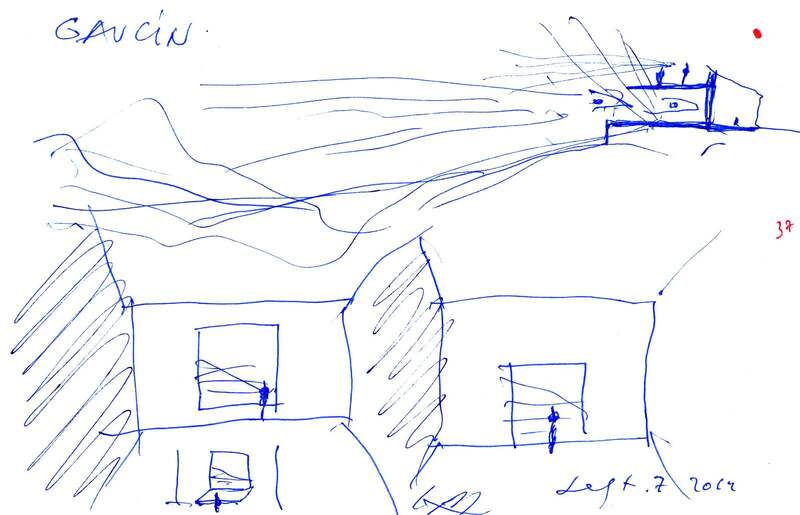 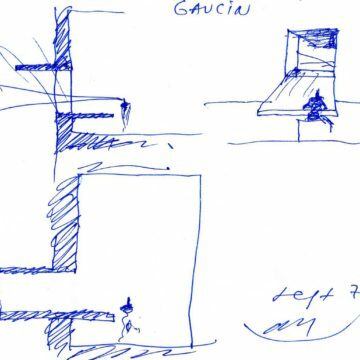 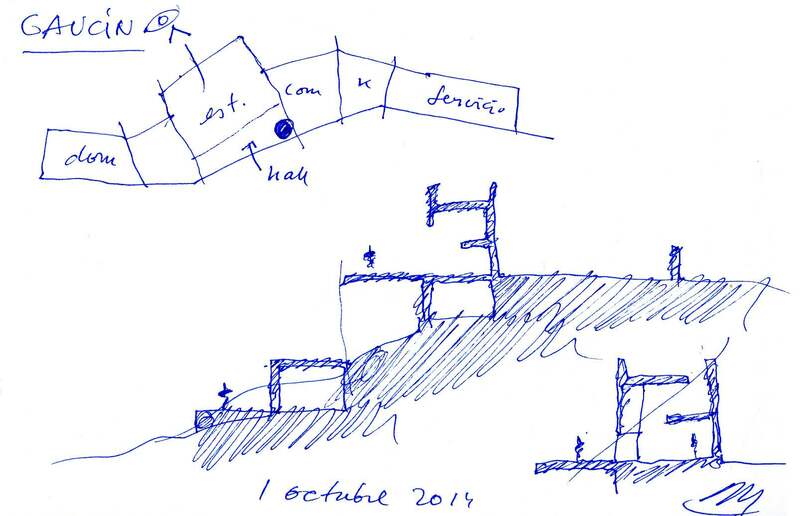 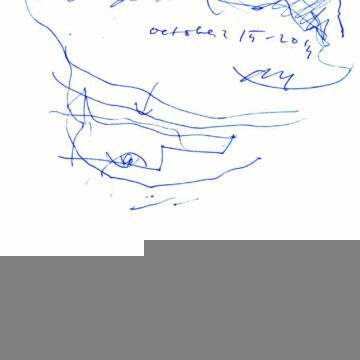 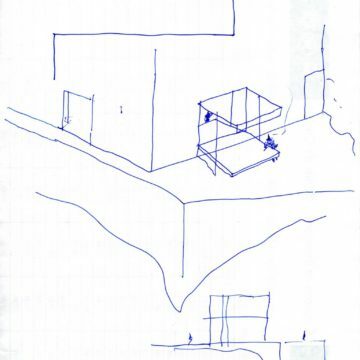 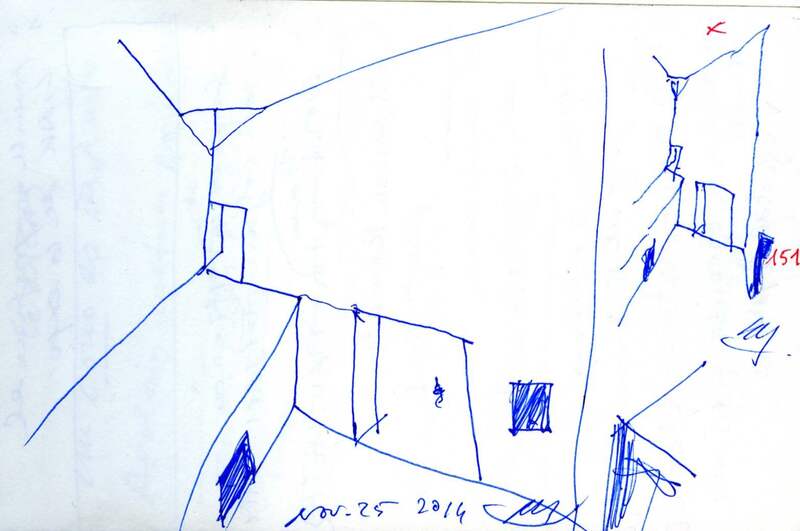 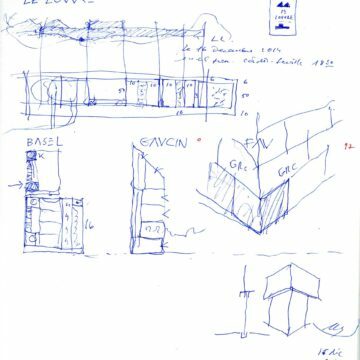 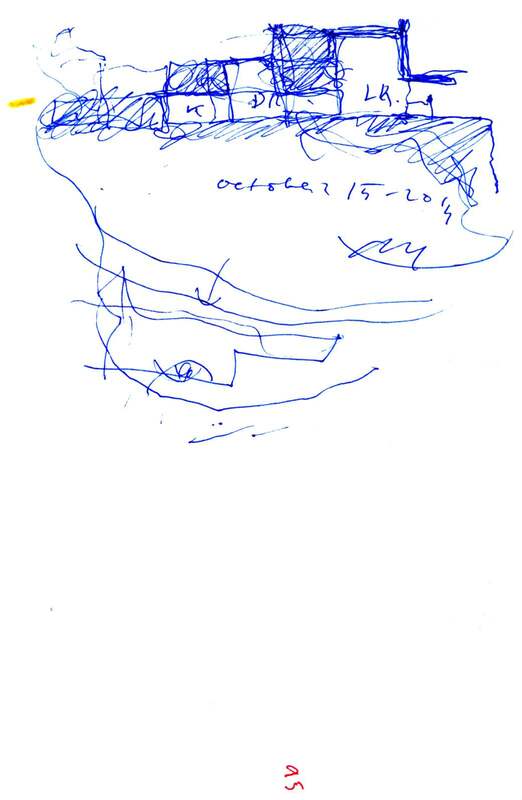 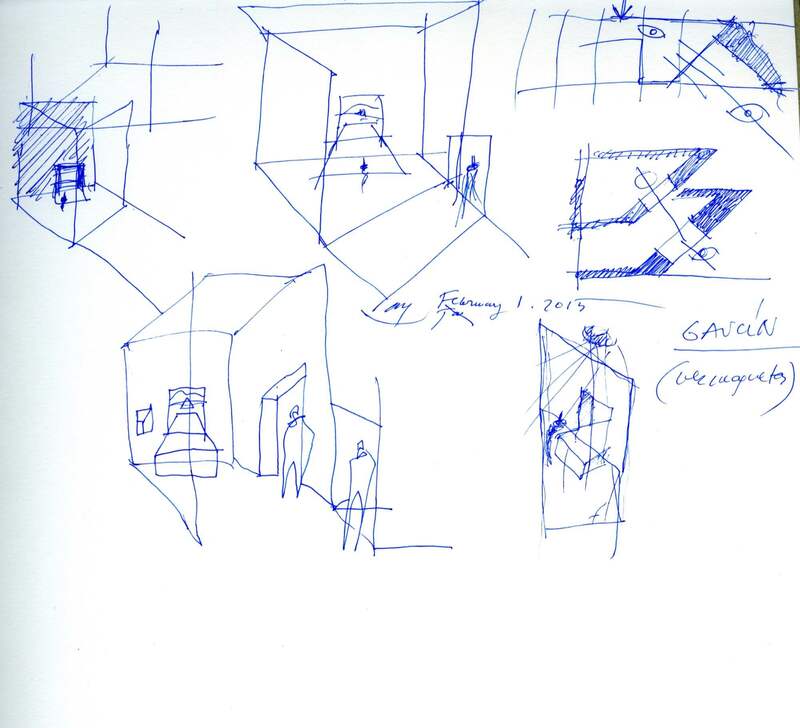 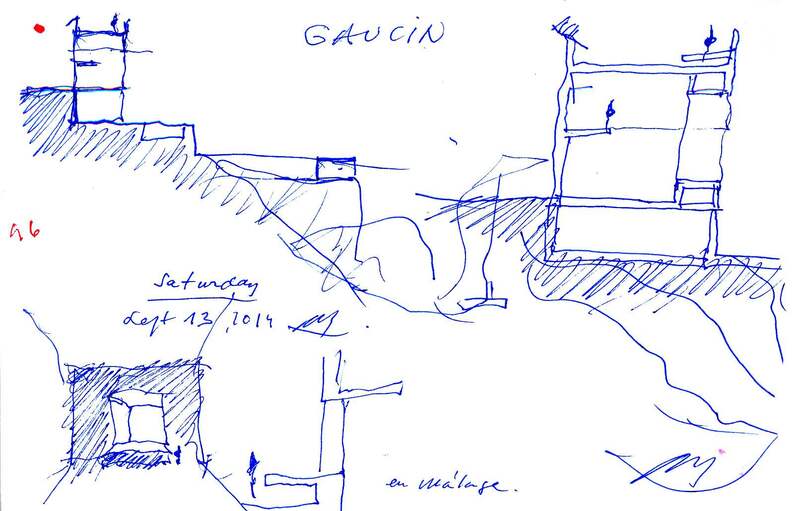 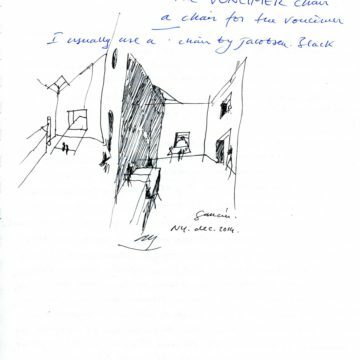 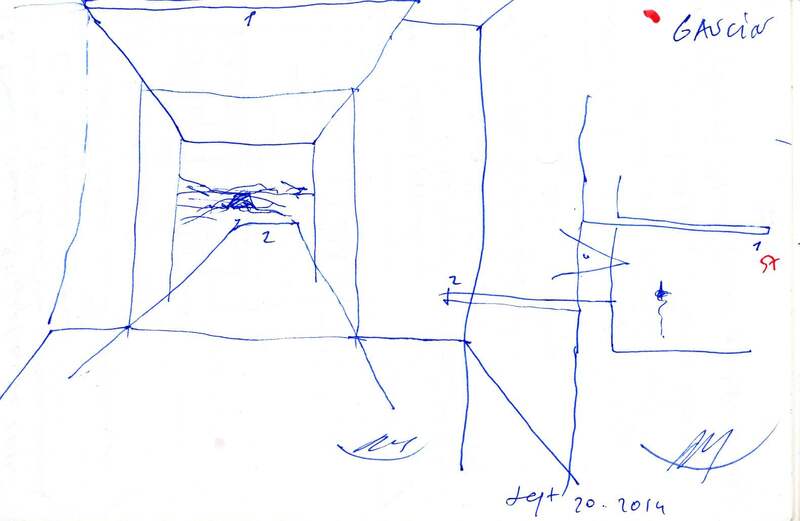 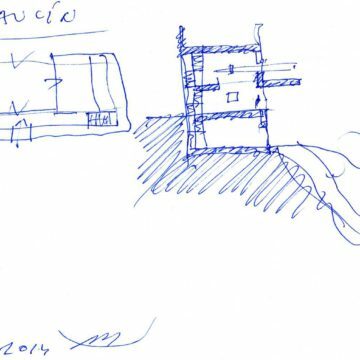 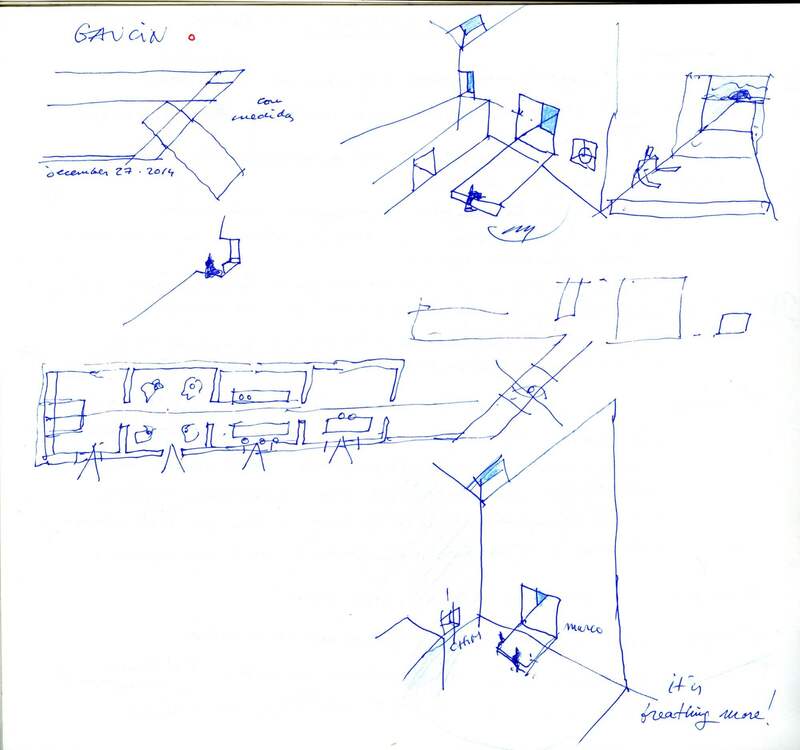 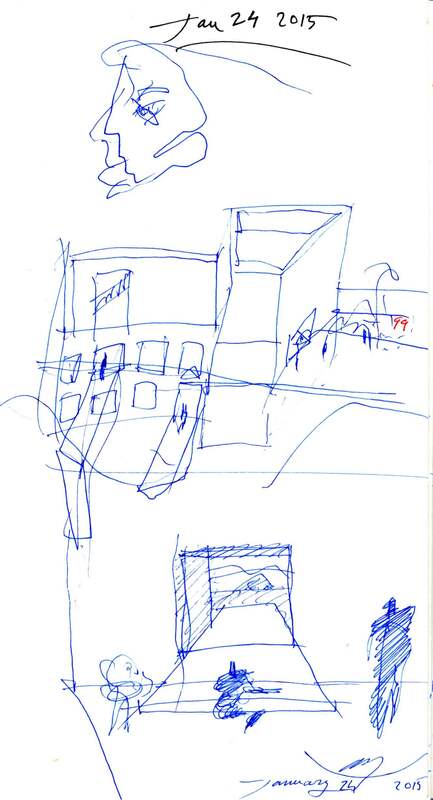 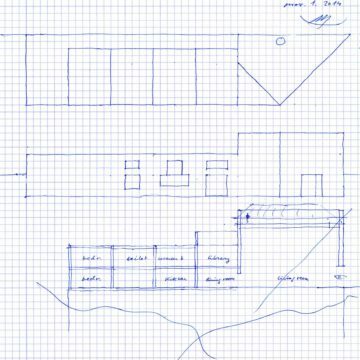 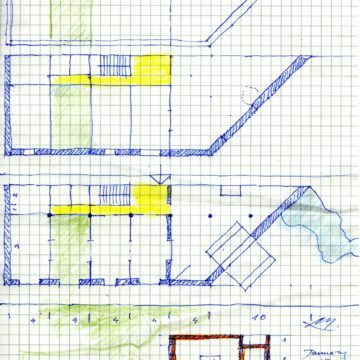 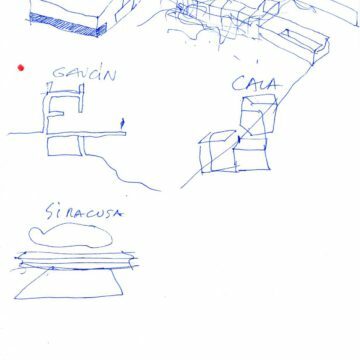 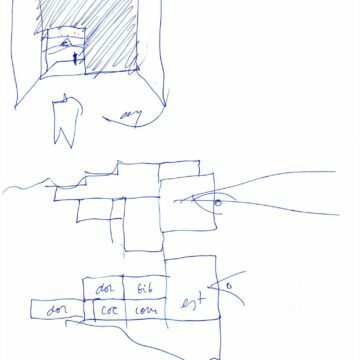 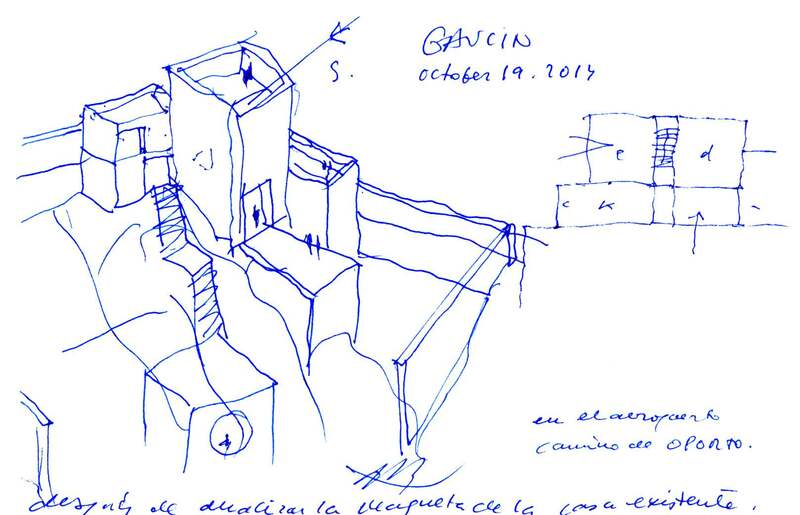 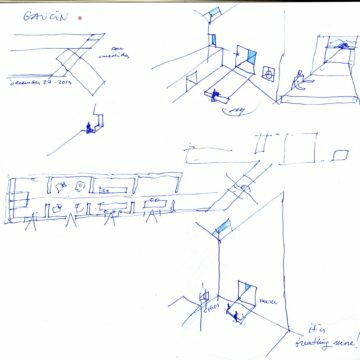 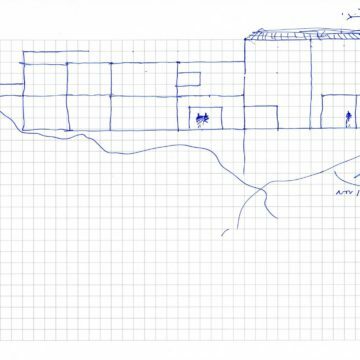 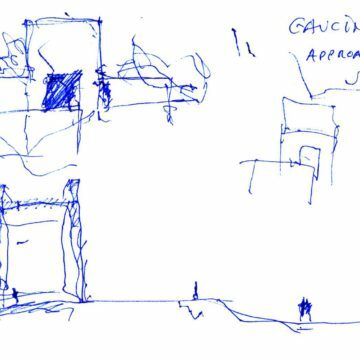 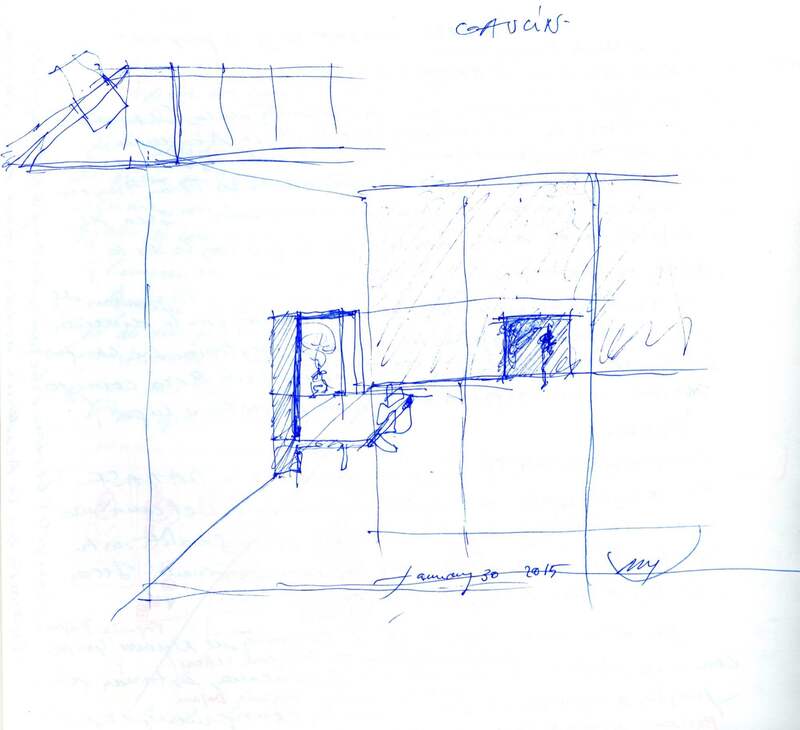 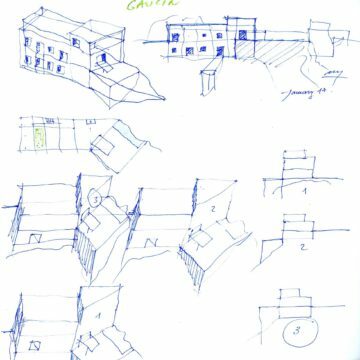 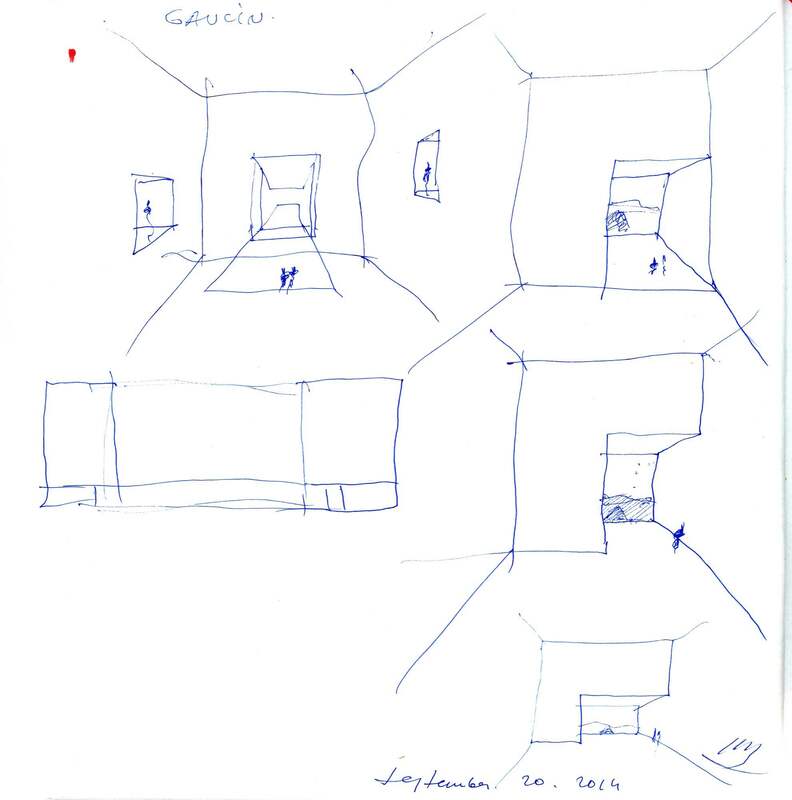 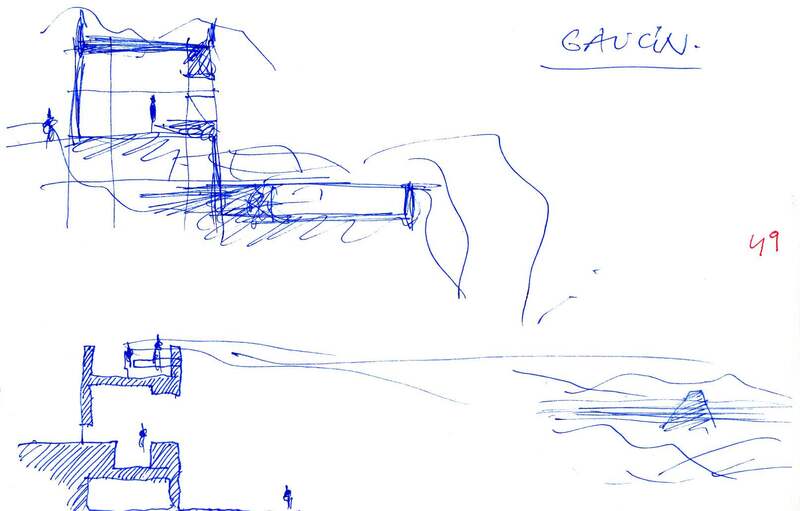 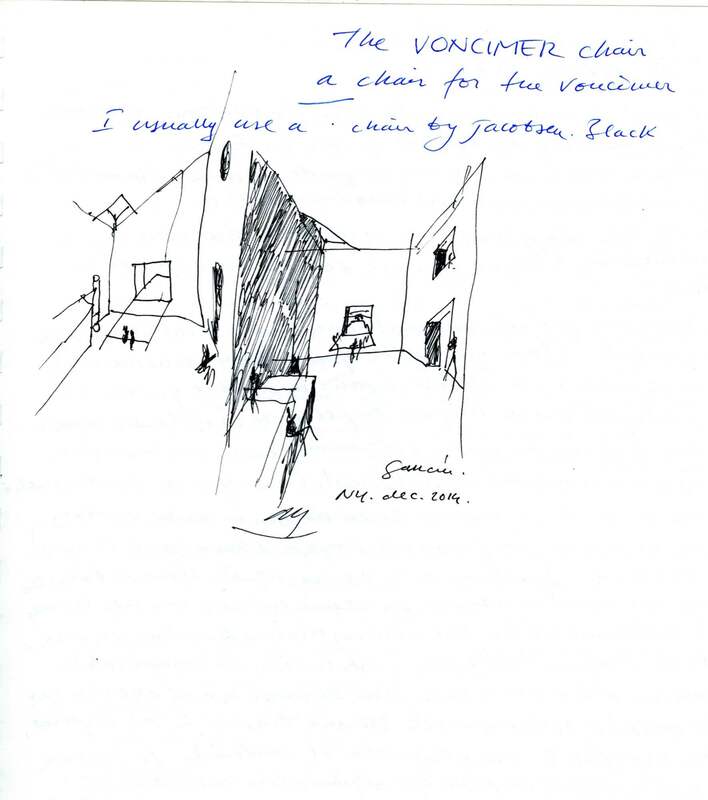 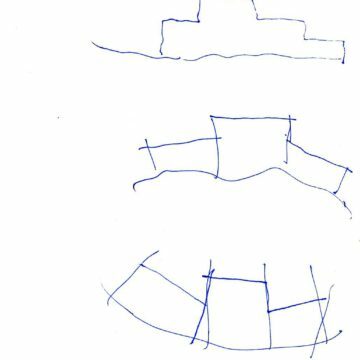 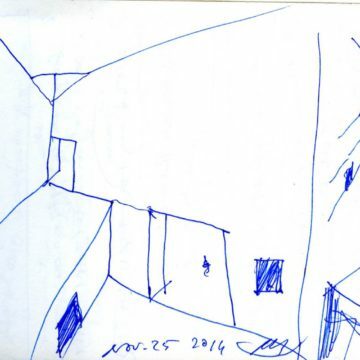 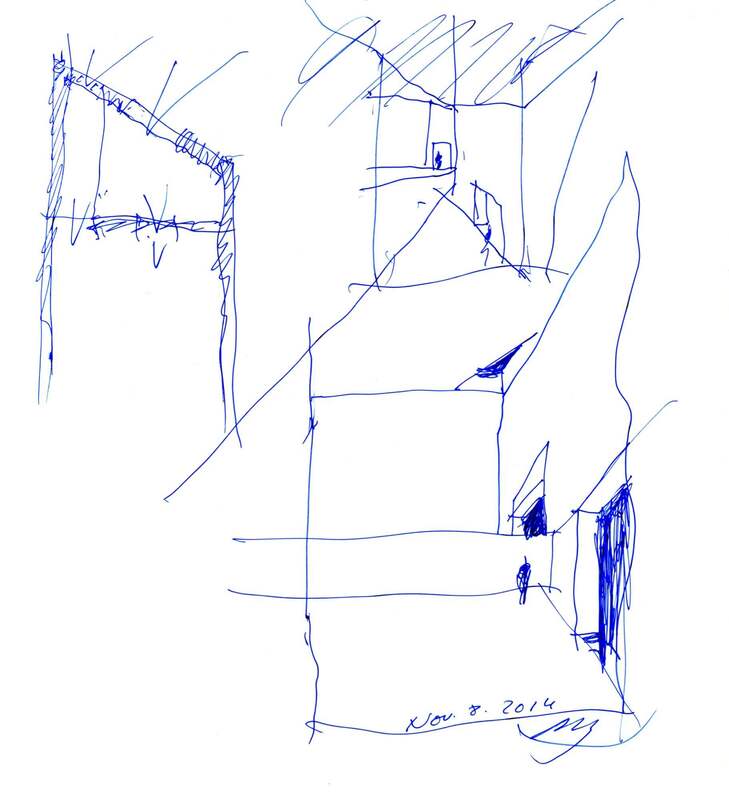 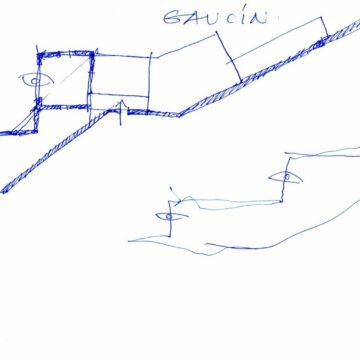 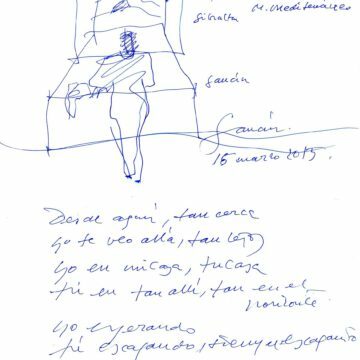 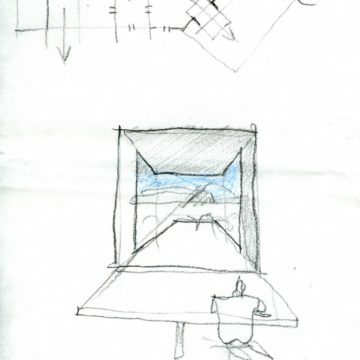 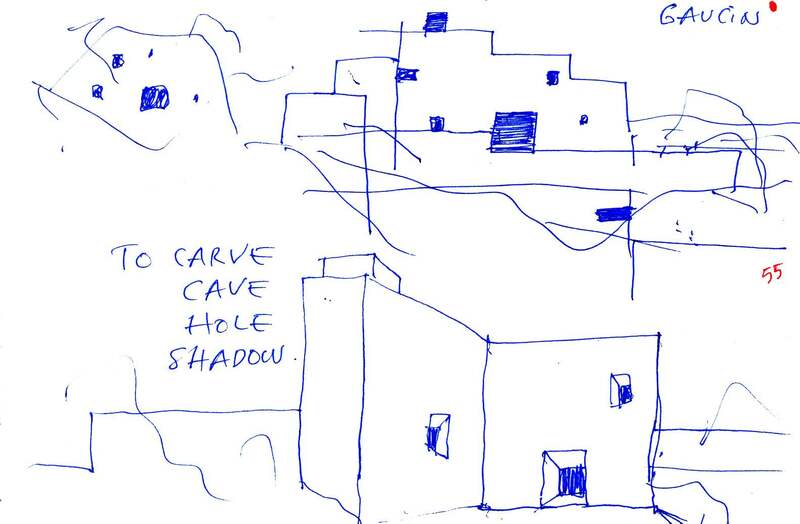 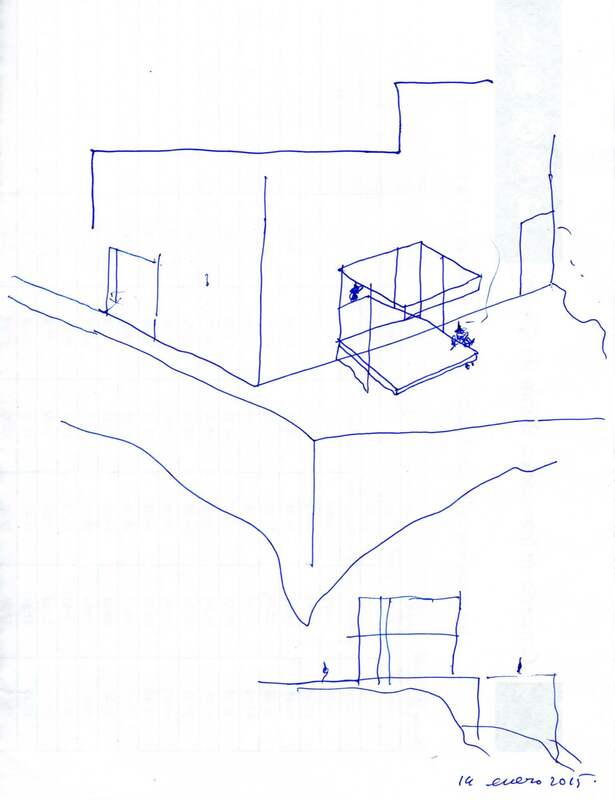 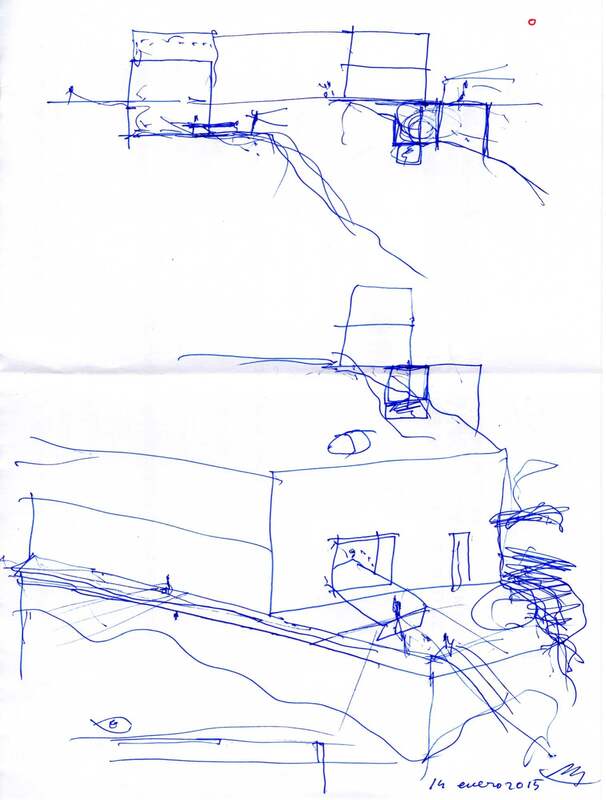 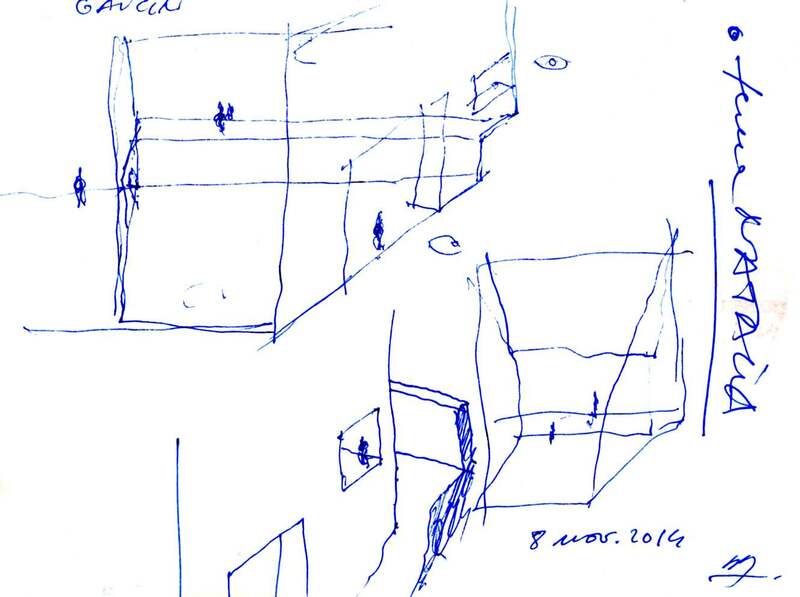 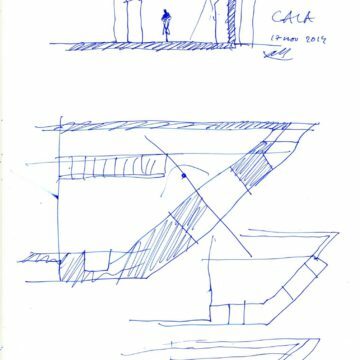 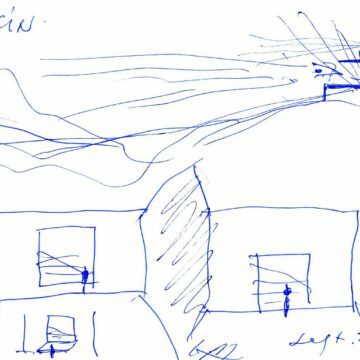 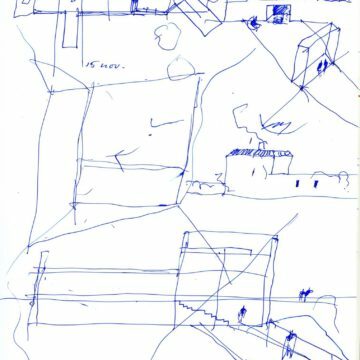 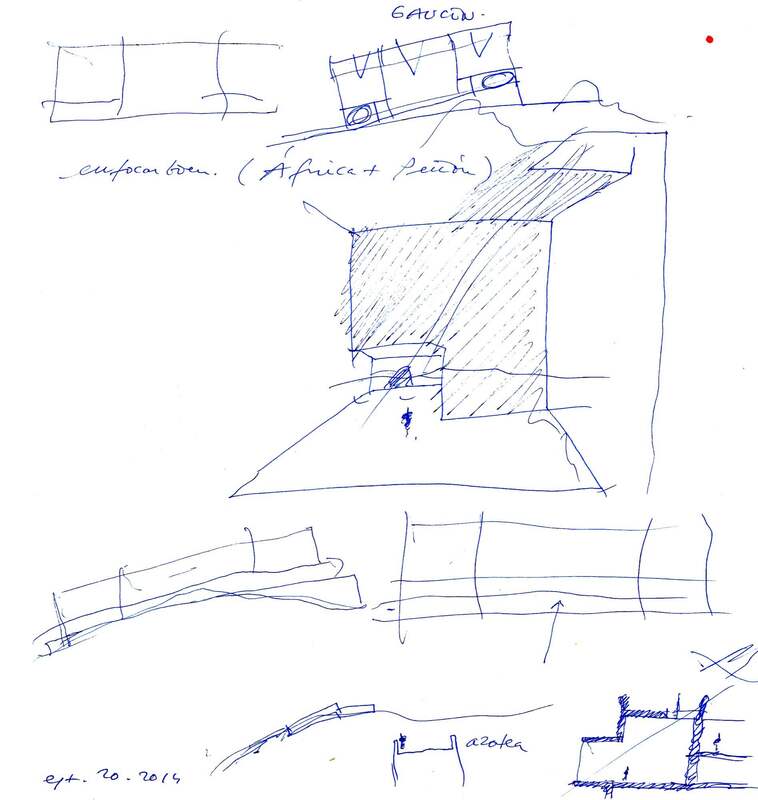 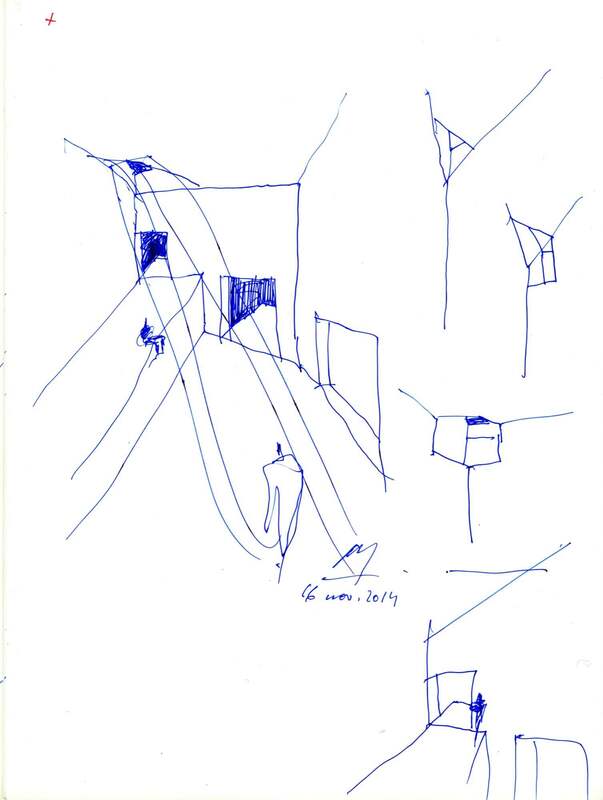 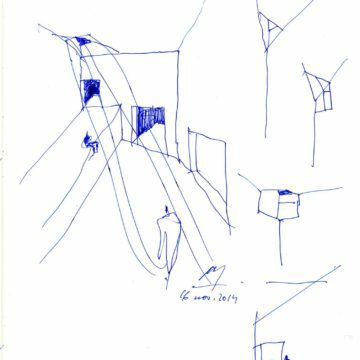 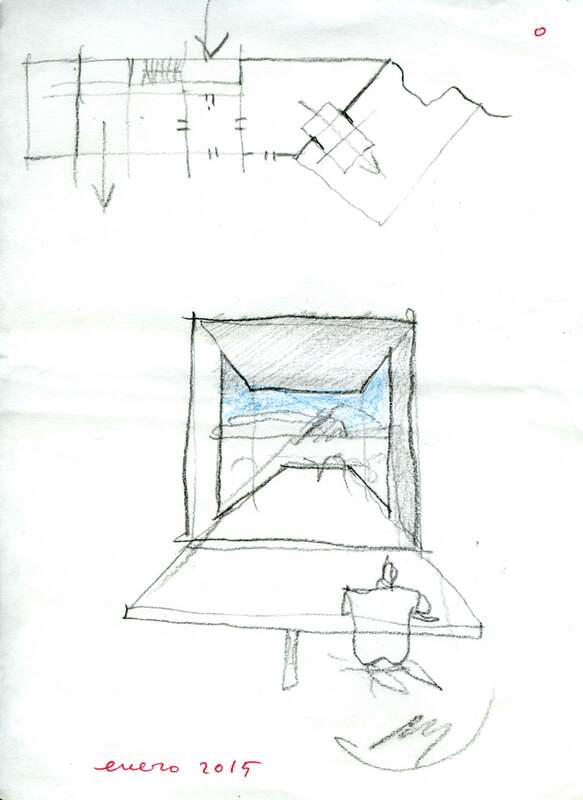 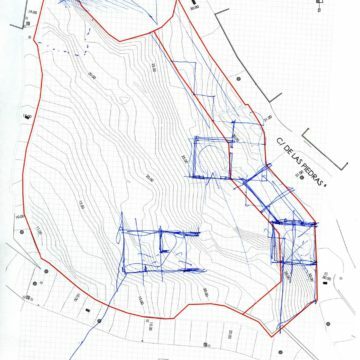 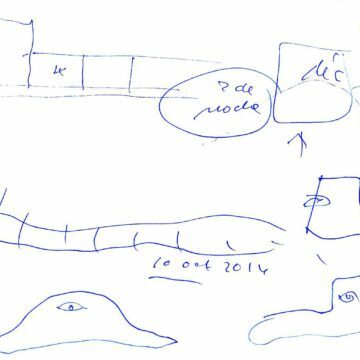 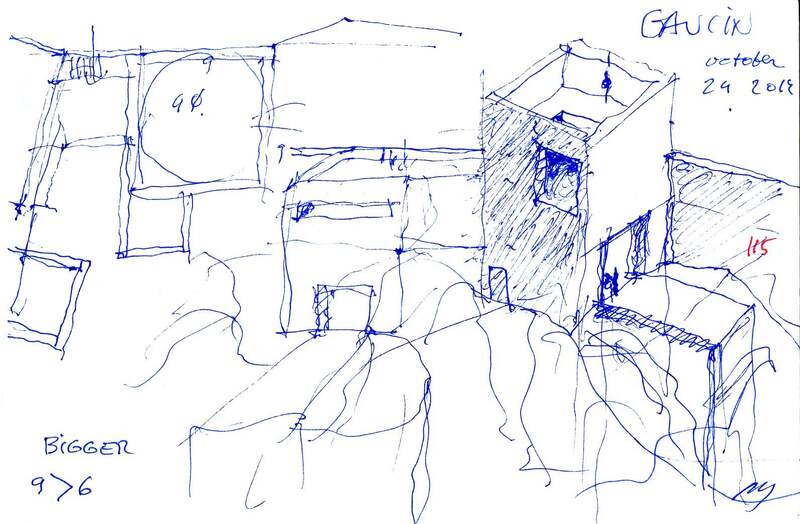 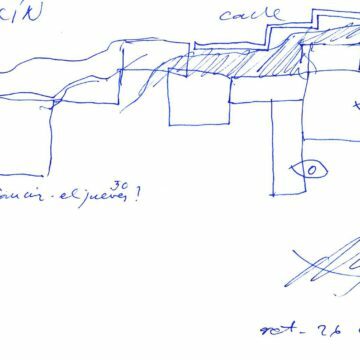 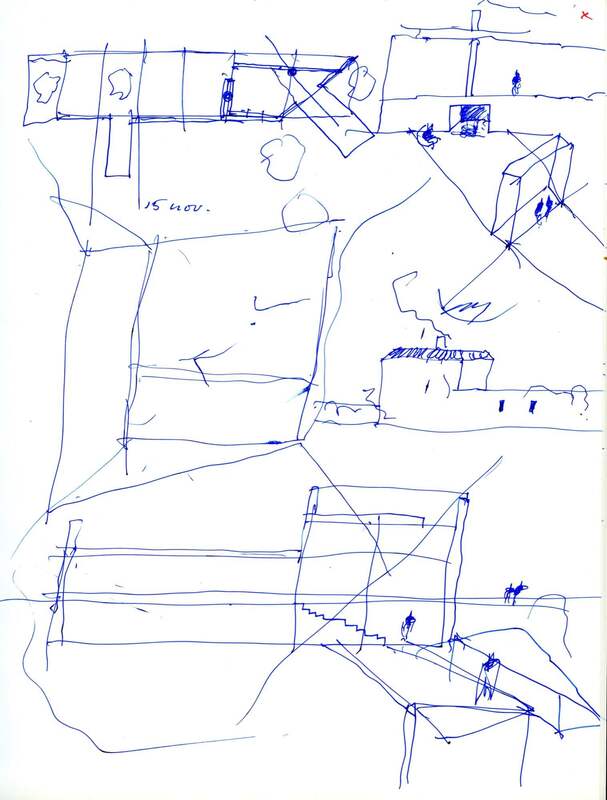 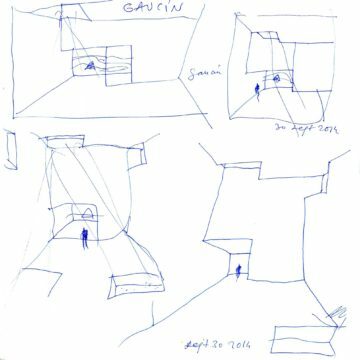 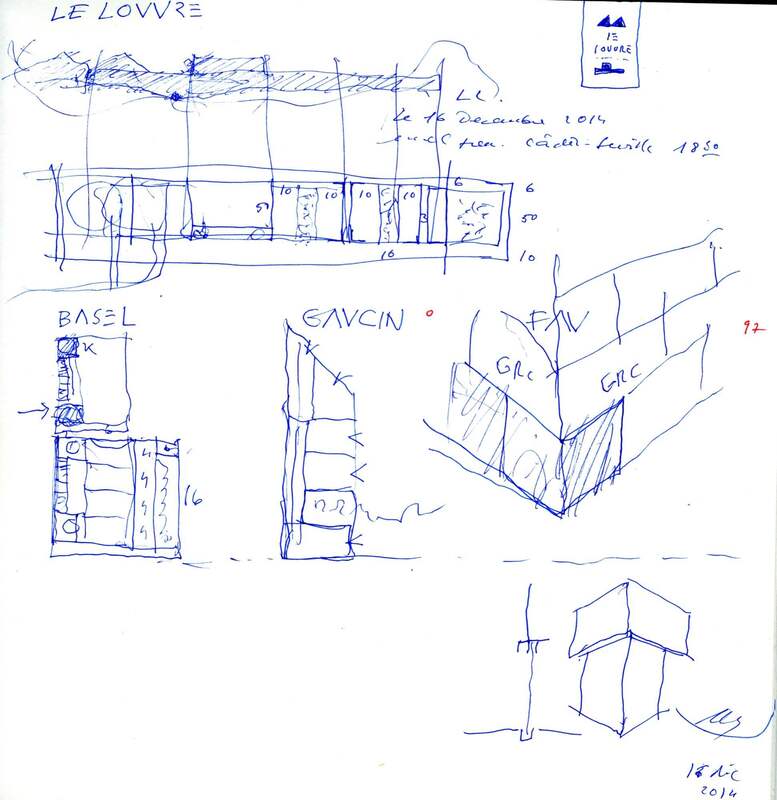 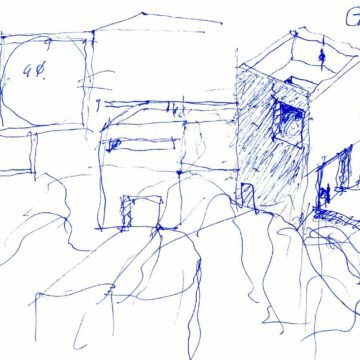 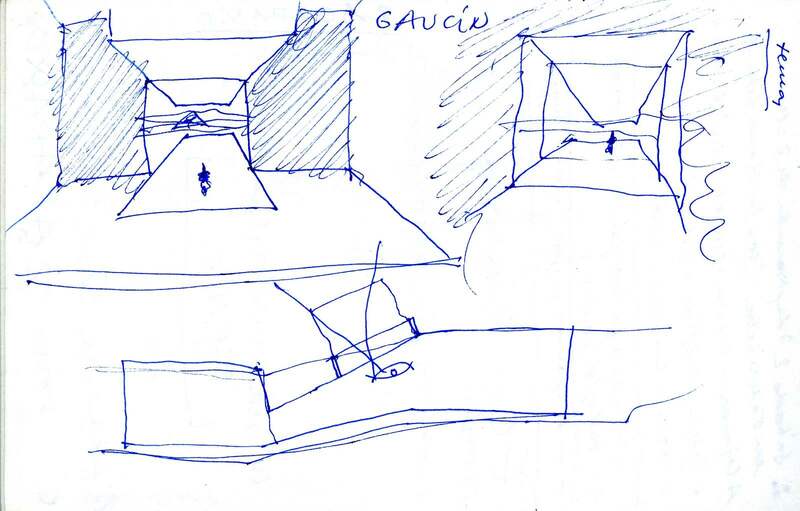 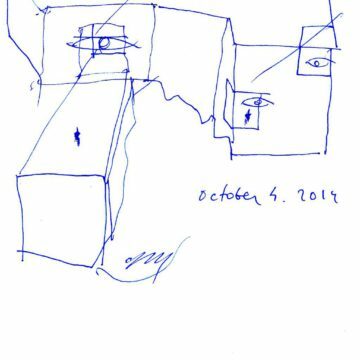 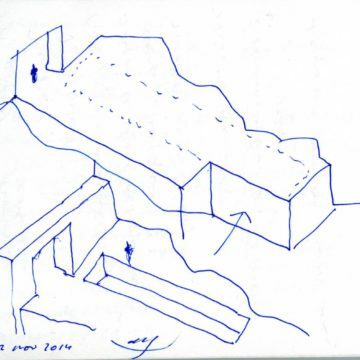 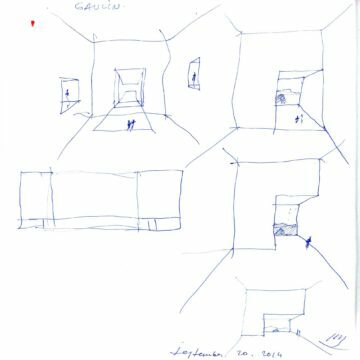 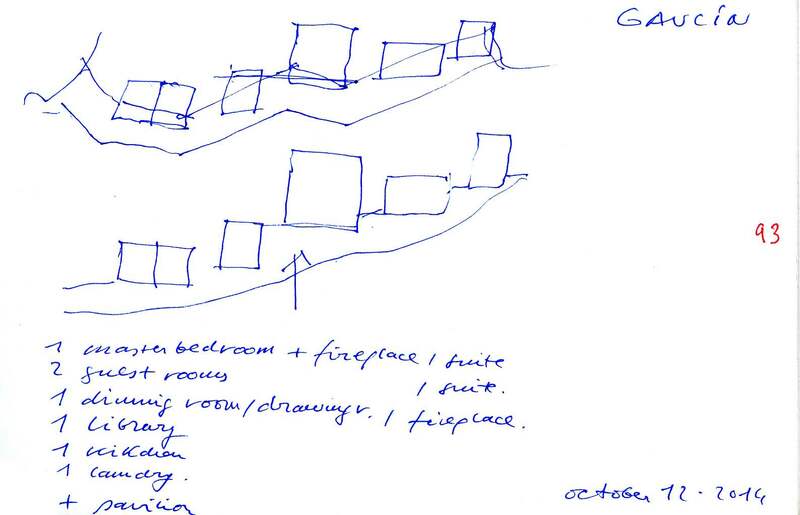 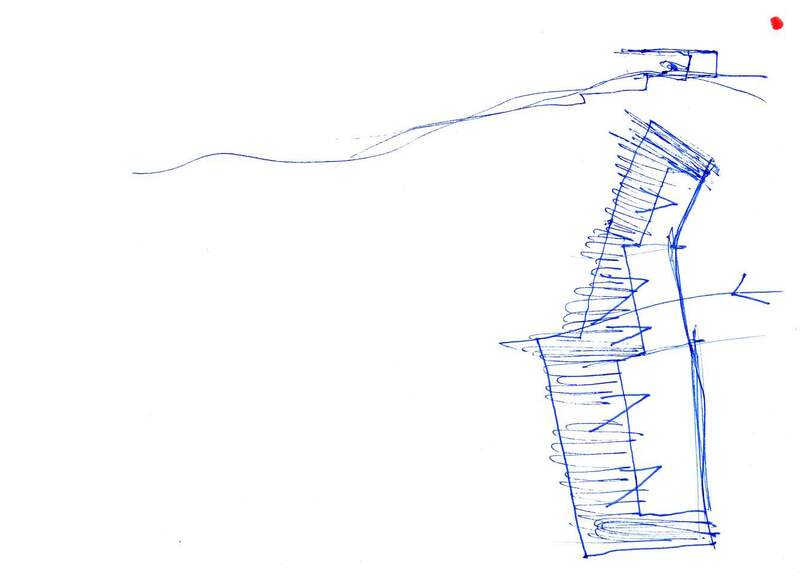 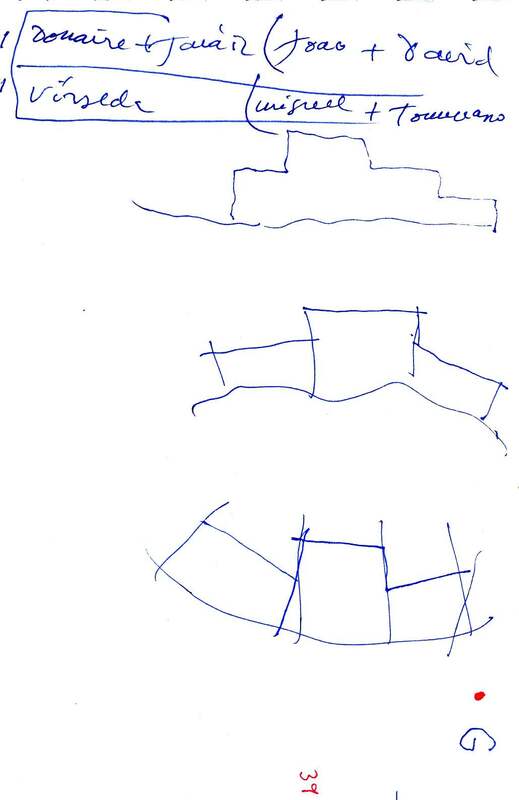 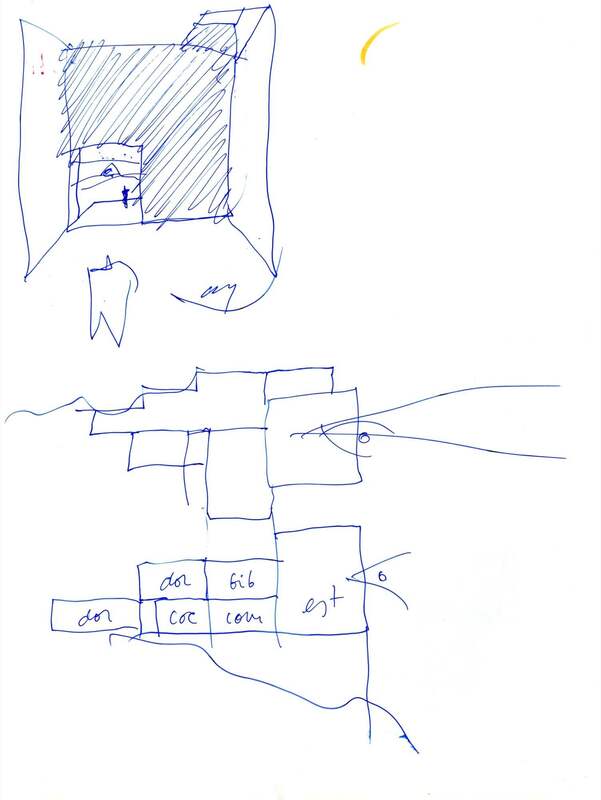 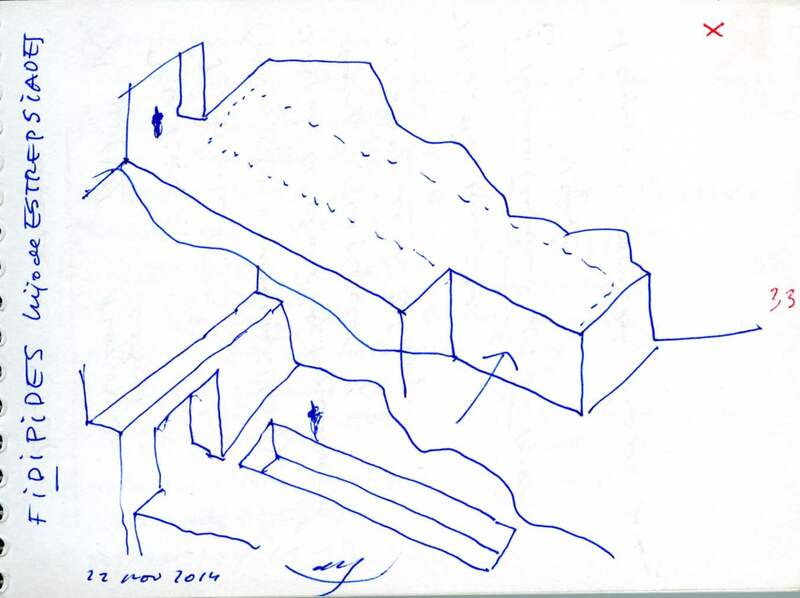 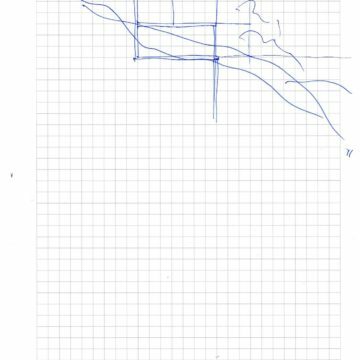 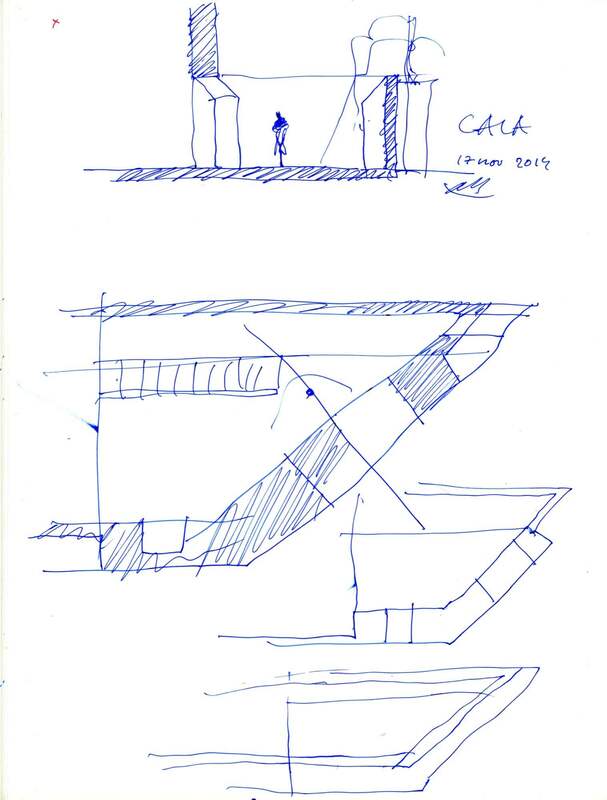 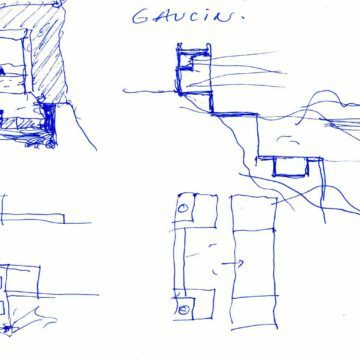 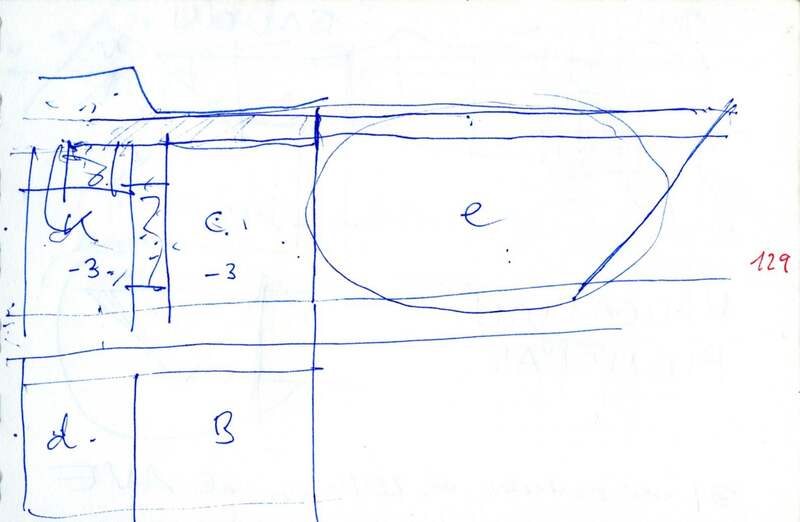 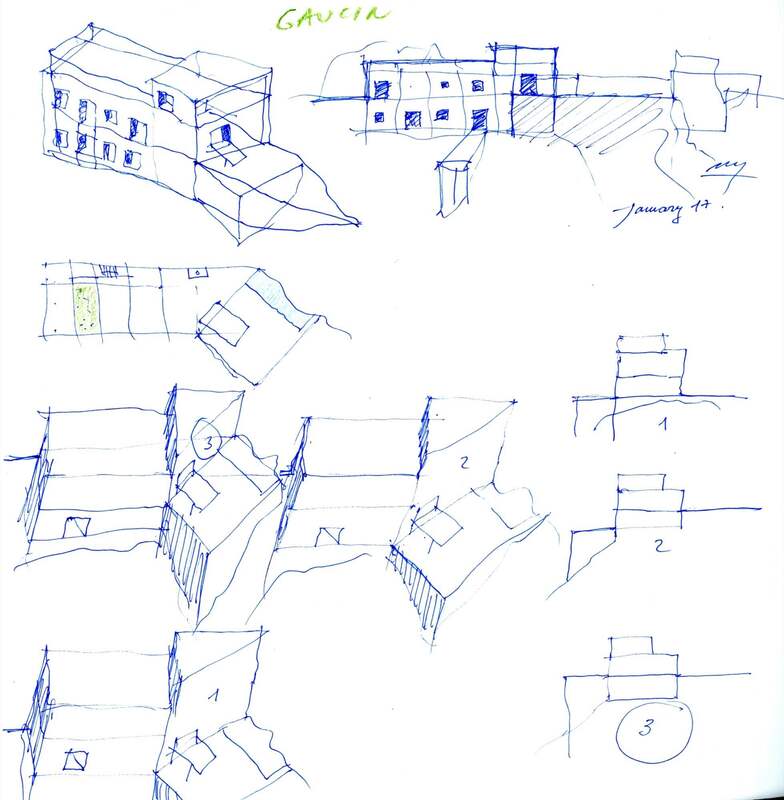 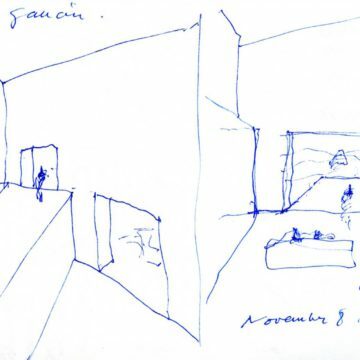 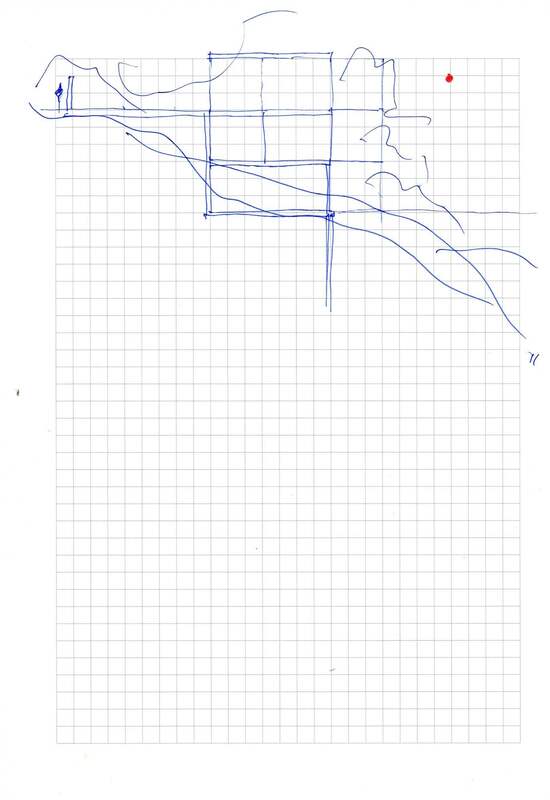 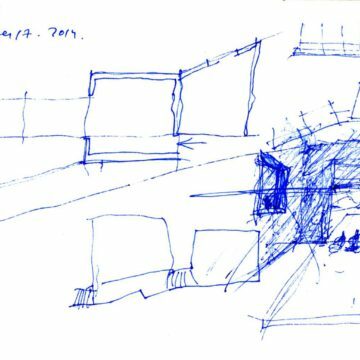 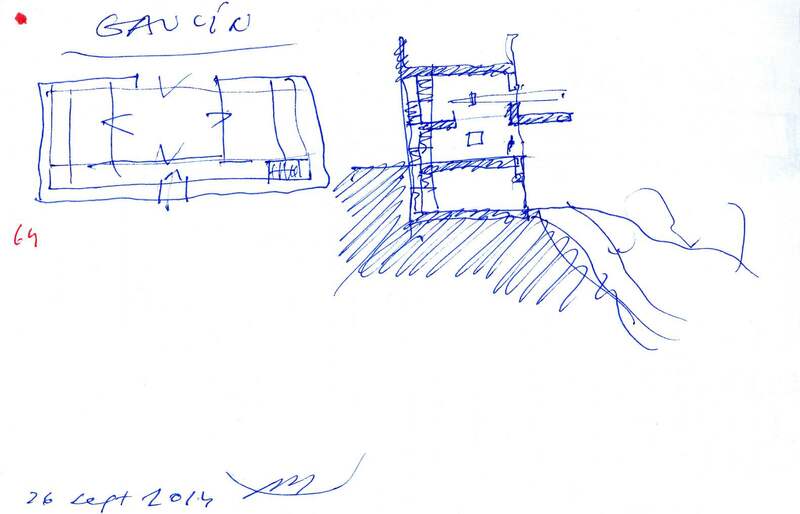 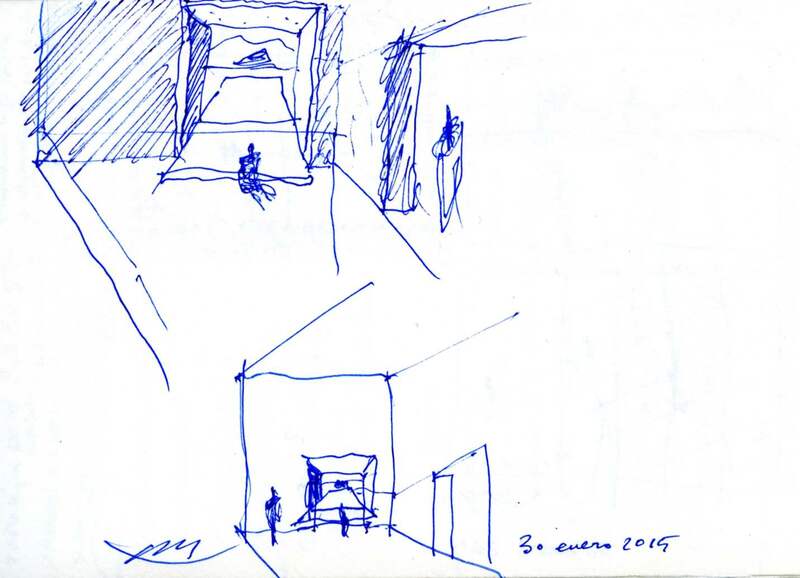 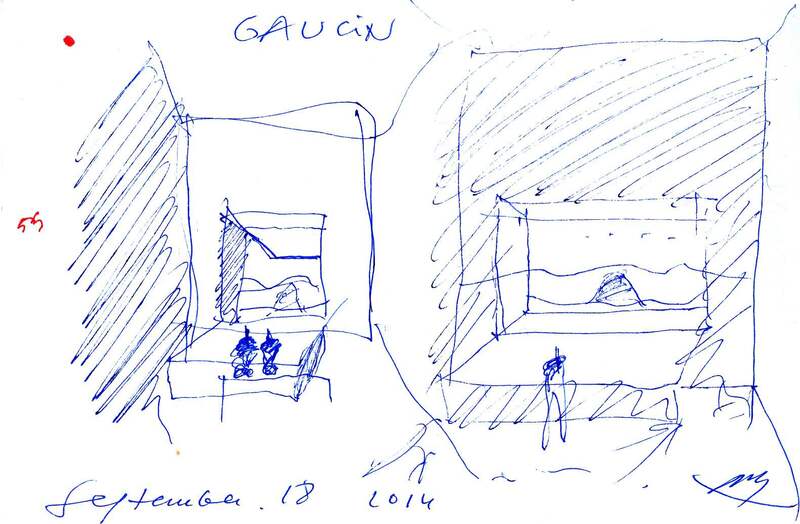 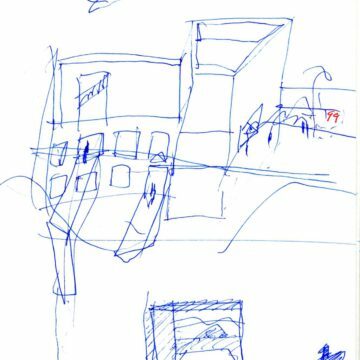 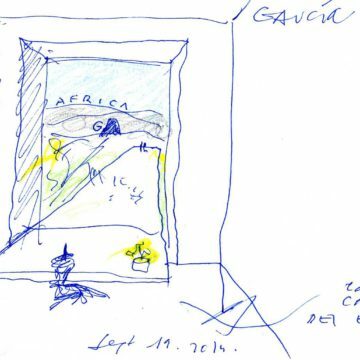 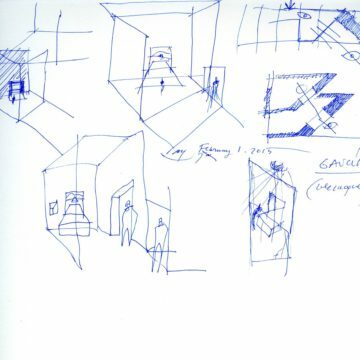 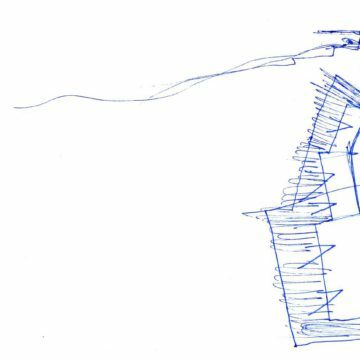 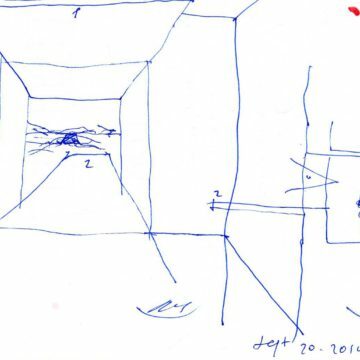 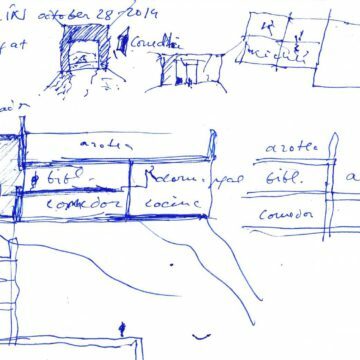 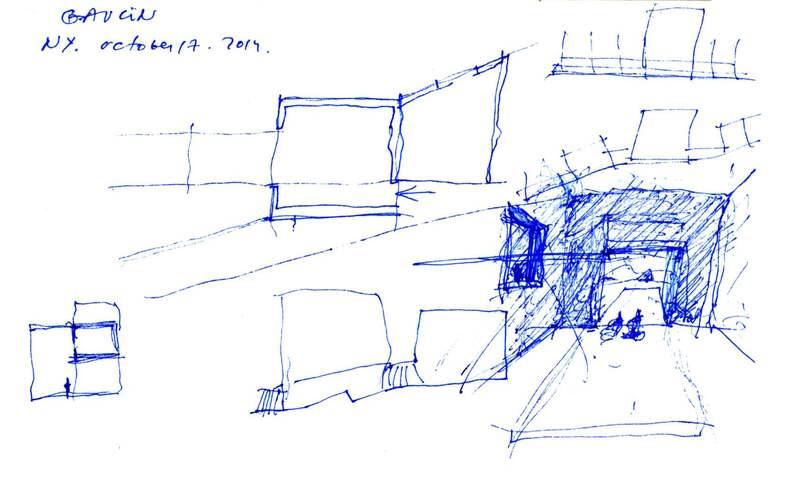 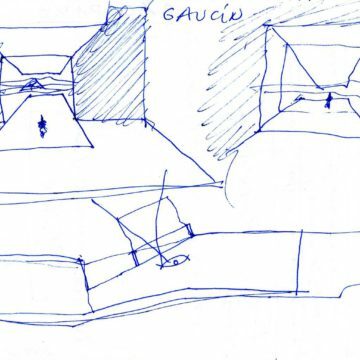 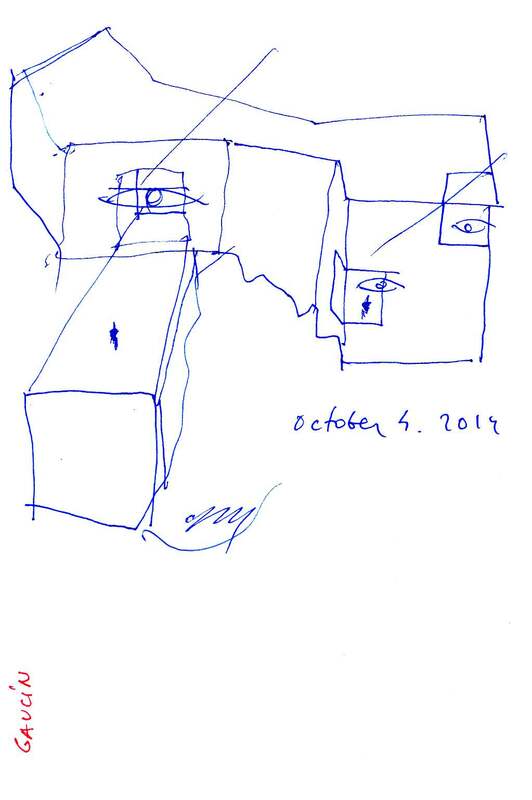 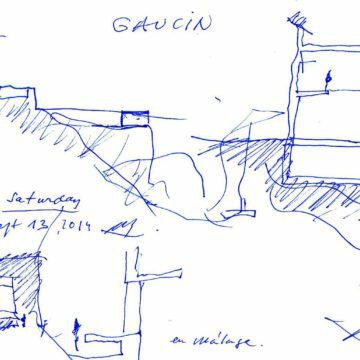 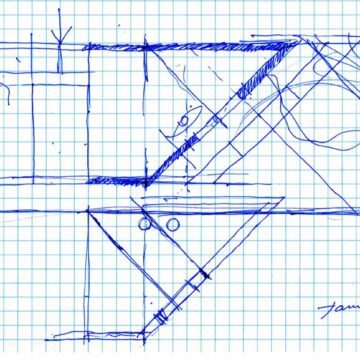 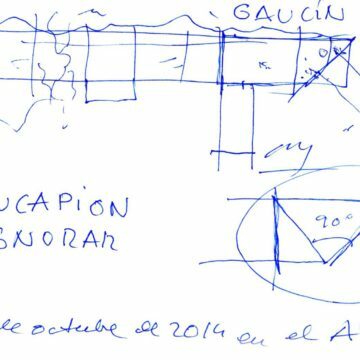 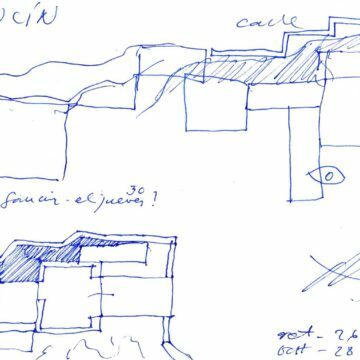 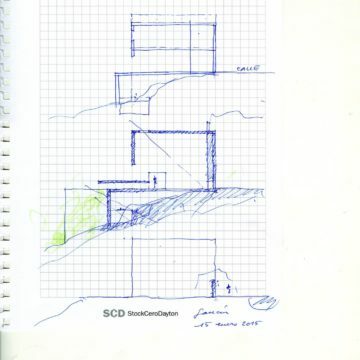 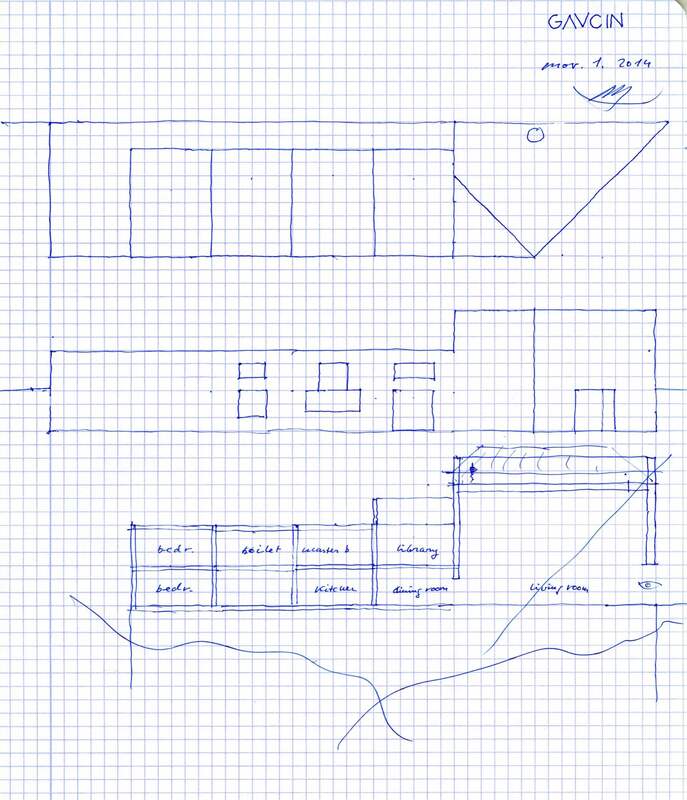 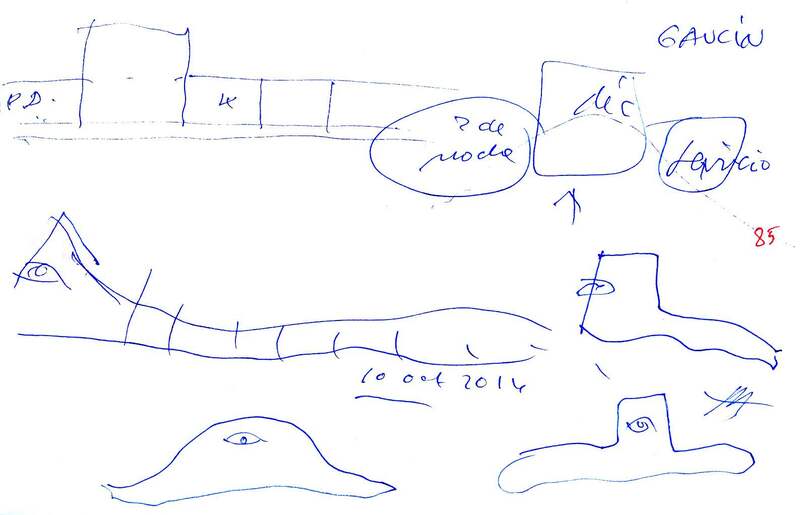 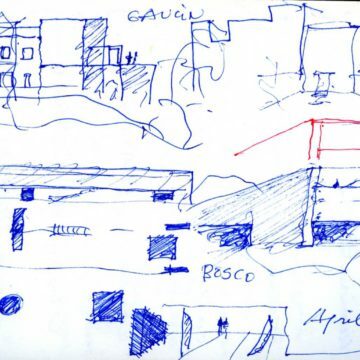 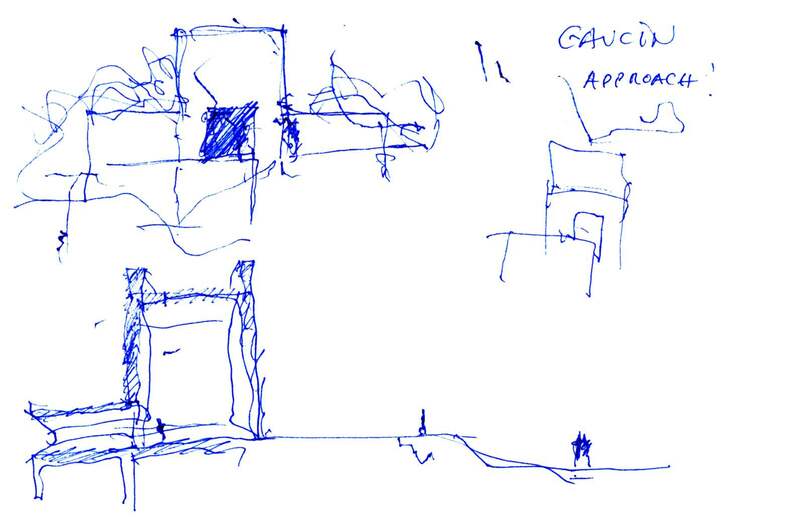 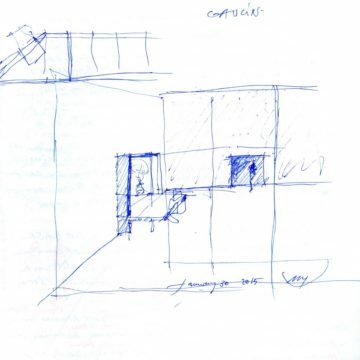 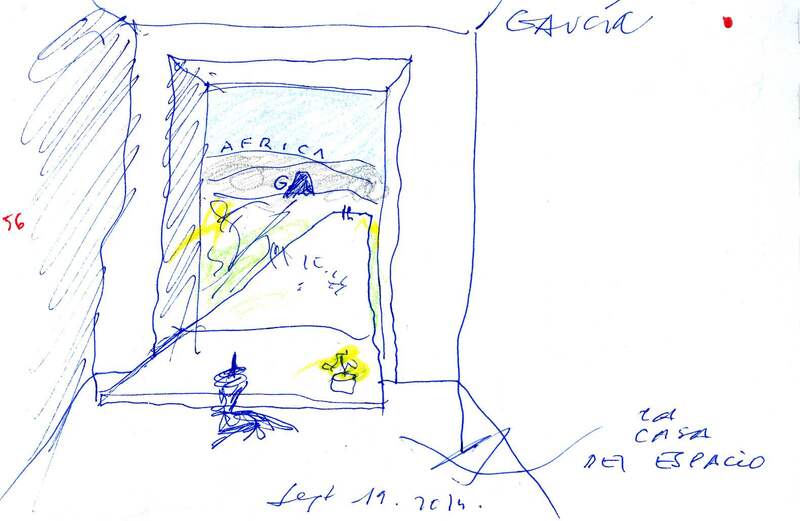 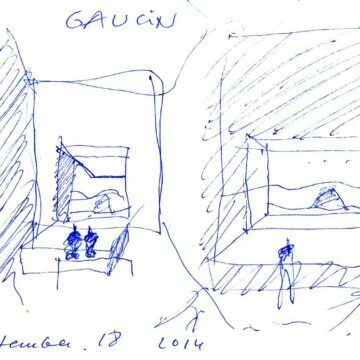 The first sketches of the house, by then located in Gaucín, date from 7 September 2014 and feature the central theme of a great window framing the impressive view of Africa, the rock of Gibraltar and the Mediterranean. 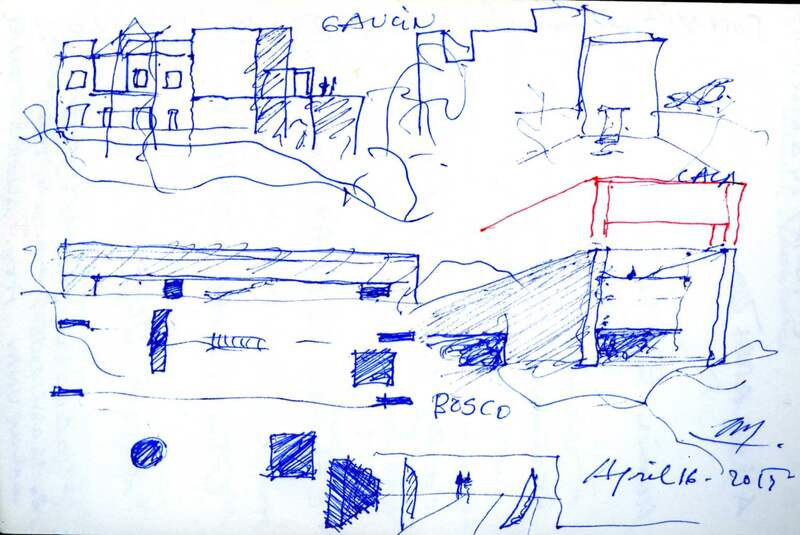 The impressive view becomes the principal theme of the project. 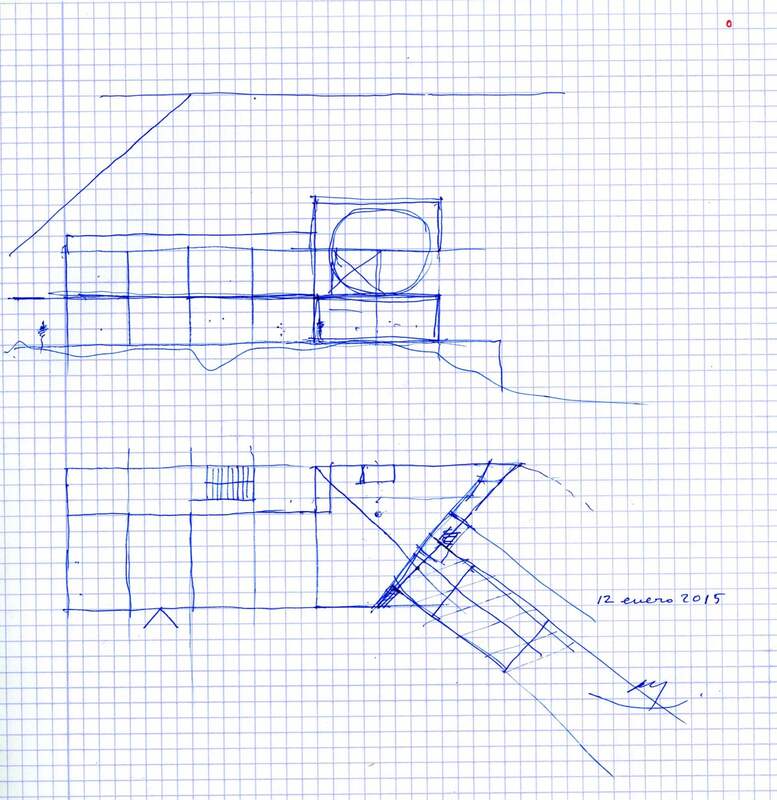 The main interior space is envisioned as a 7 meter high vertical space, with a trapezoidal ground plan encompassing the required rotation for the house to focus on the main vista. 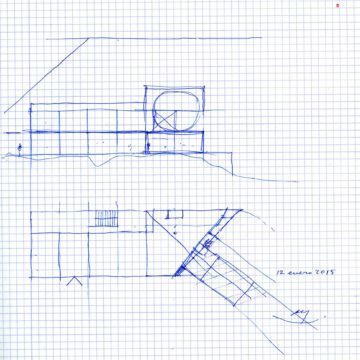 A circular central skylight opens on the roof, allowing the sunlight to pass through and record the movement of the sun on the walls and floor, rendering visible the passing of time.